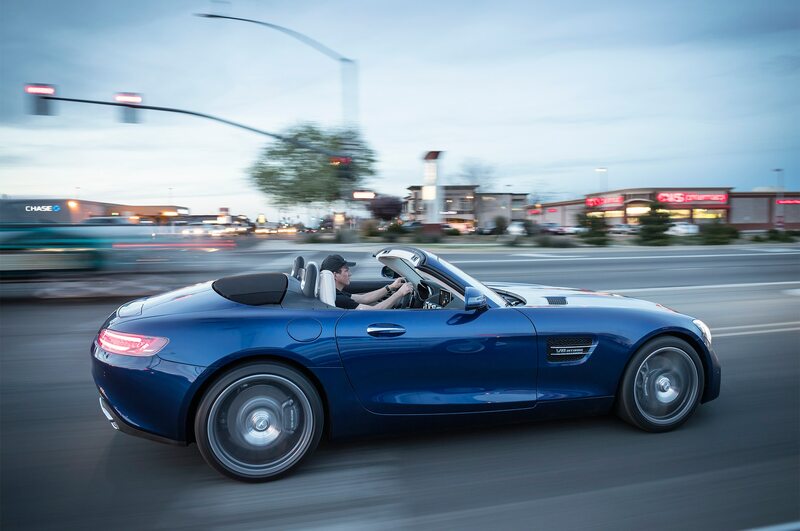 TORRANCE, California — I can’t recall the last time I saw a man’s head snap back faster from turned to straight. 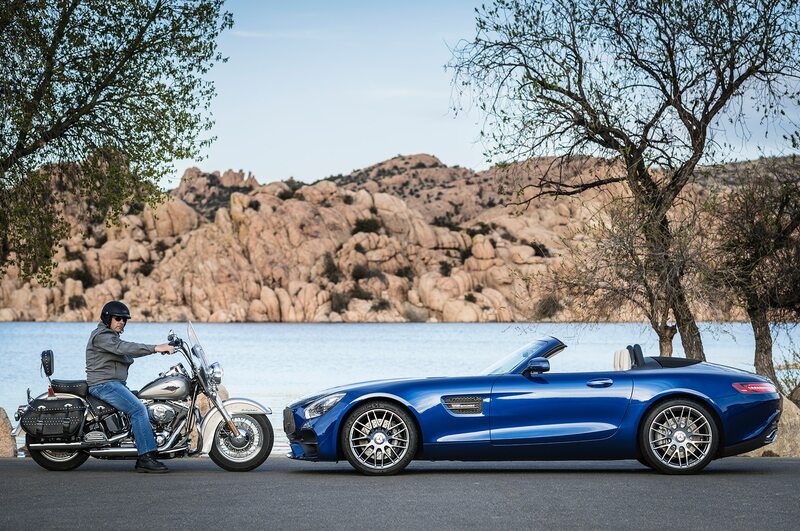 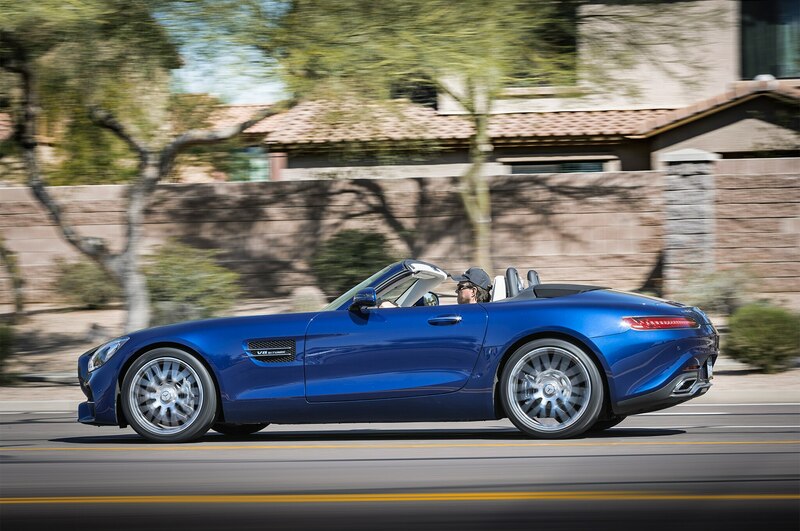 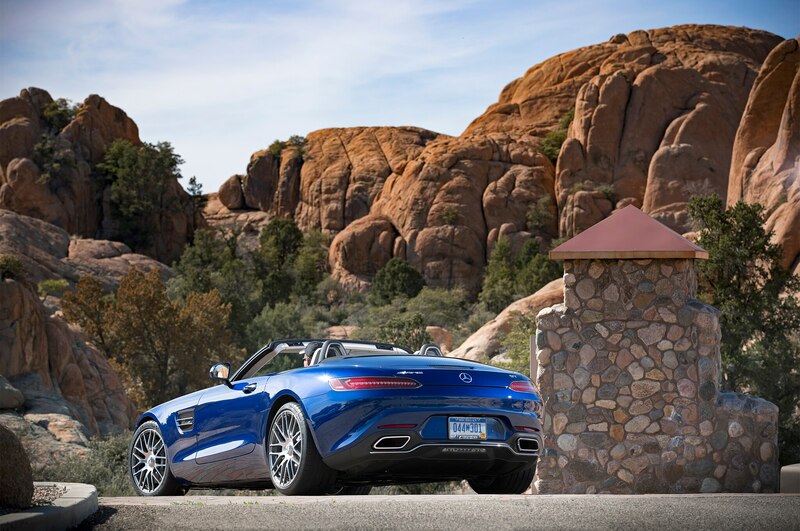 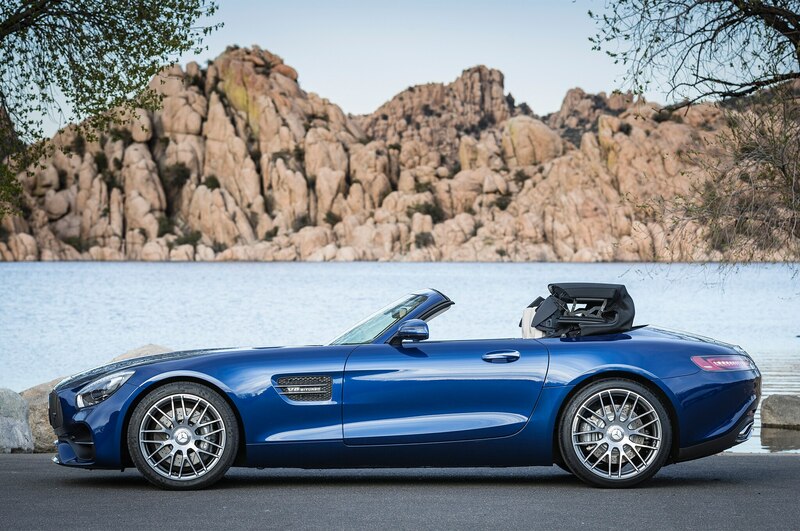 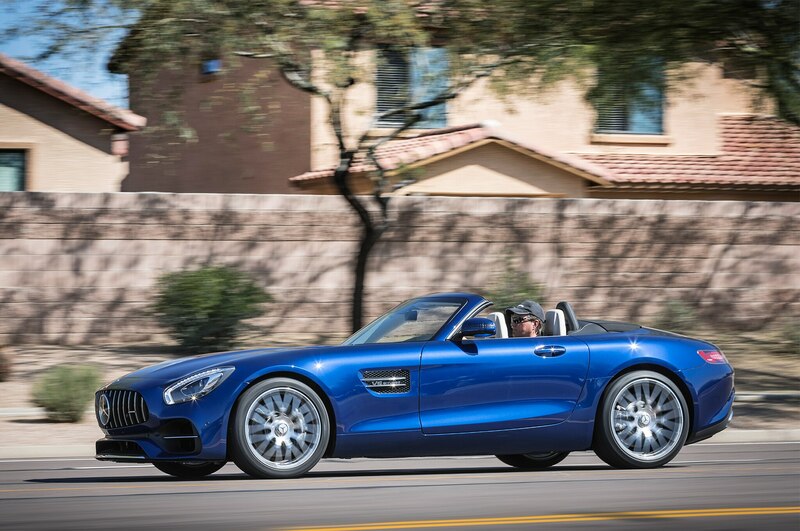 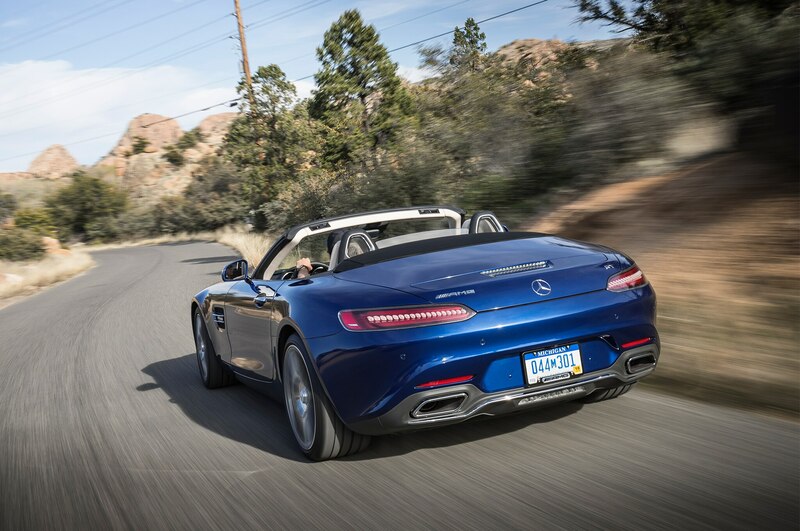 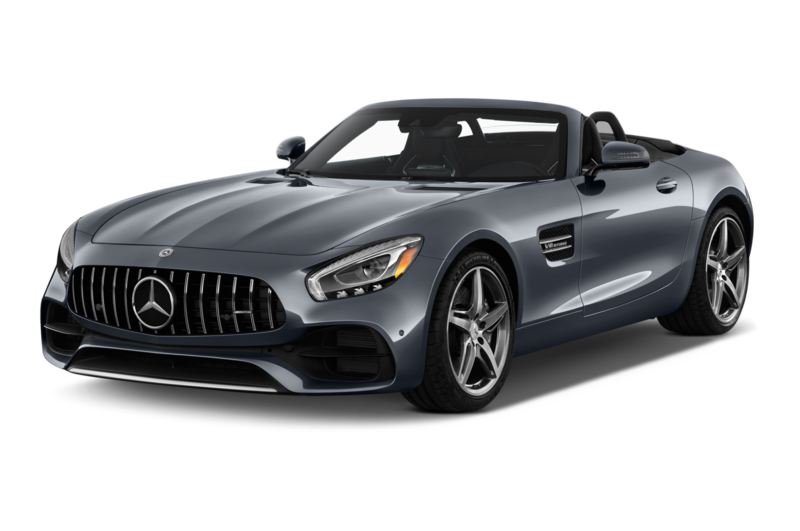 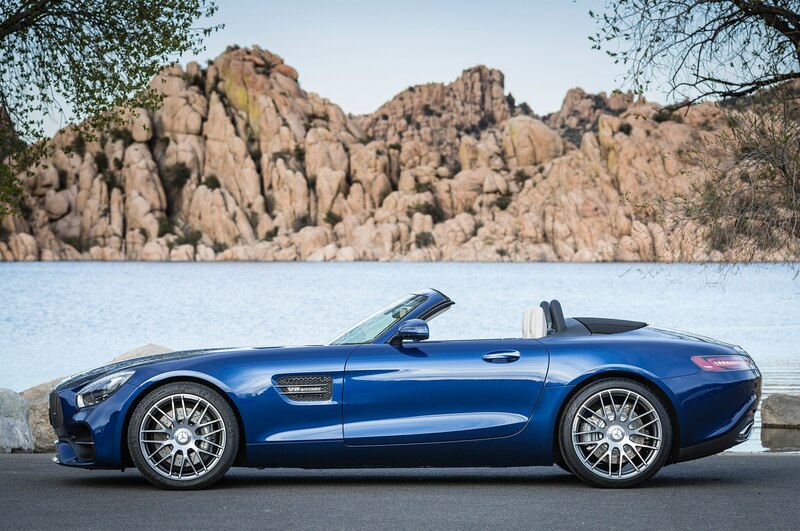 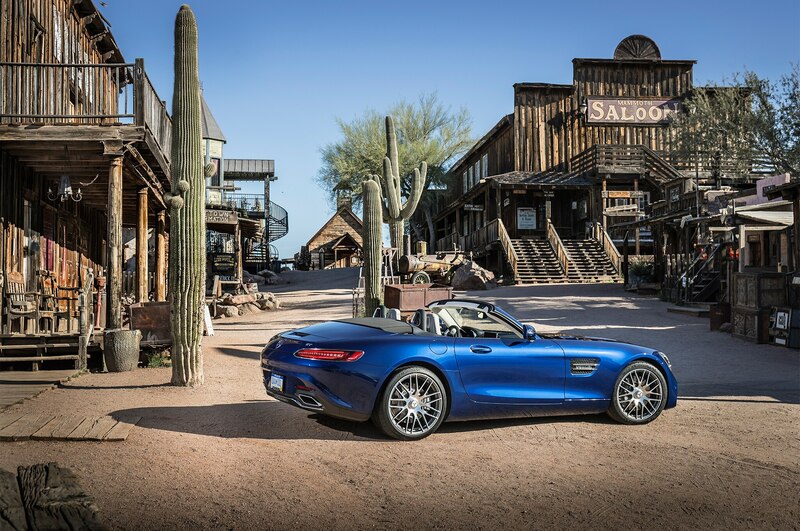 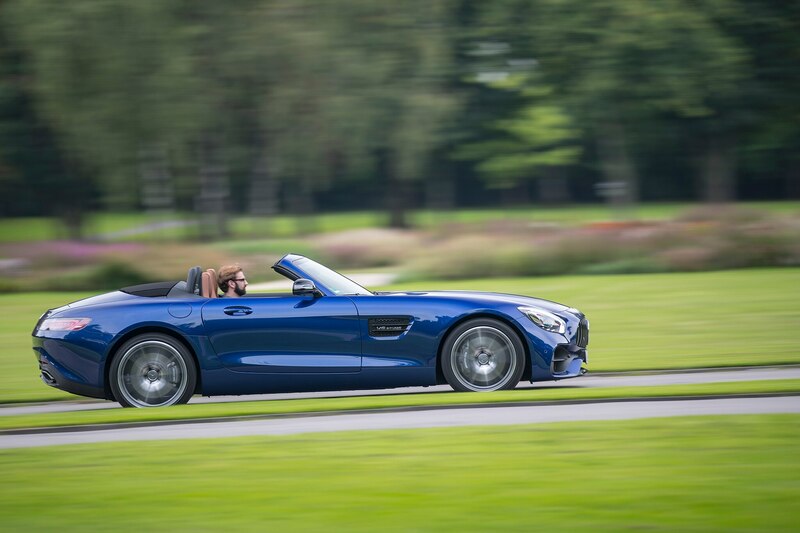 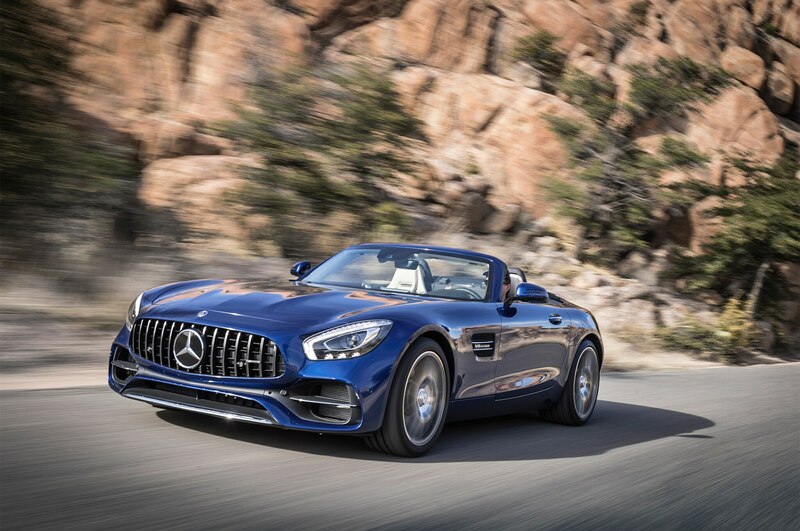 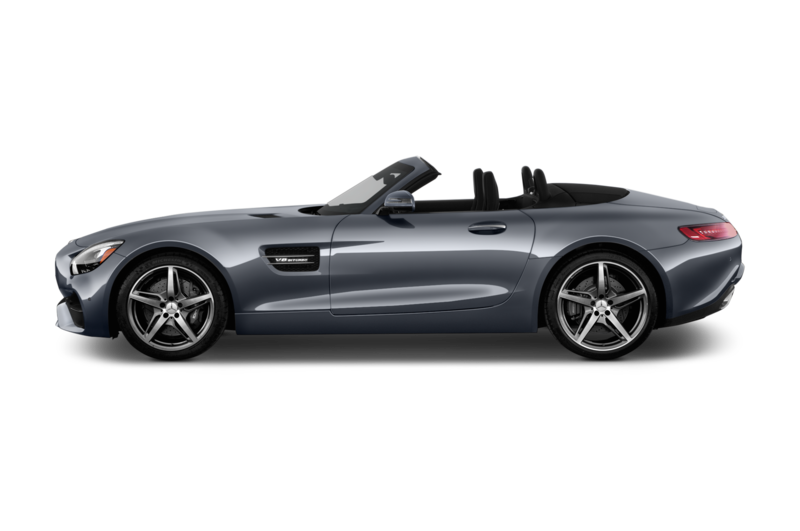 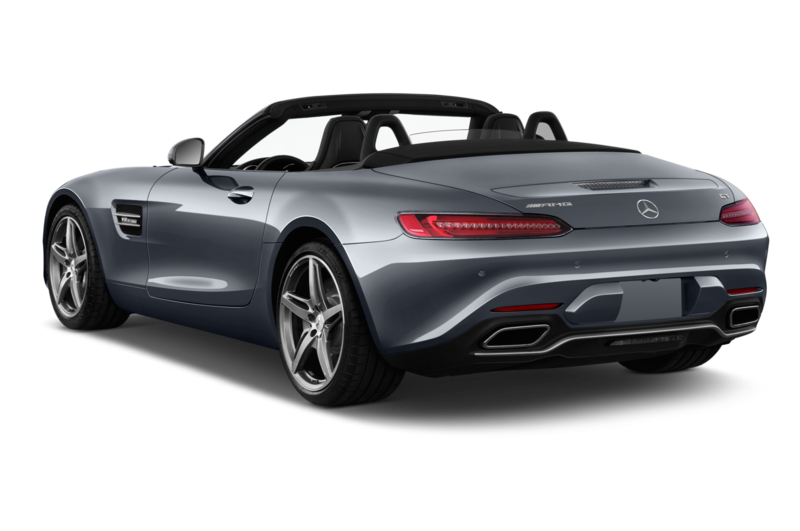 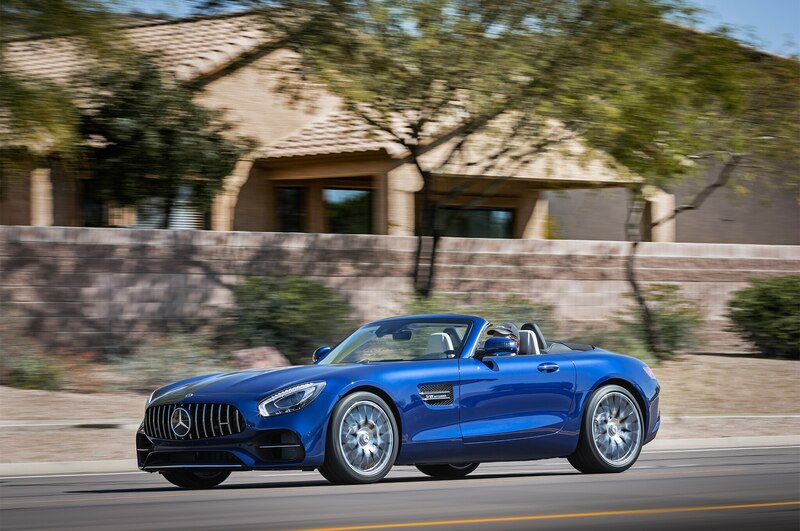 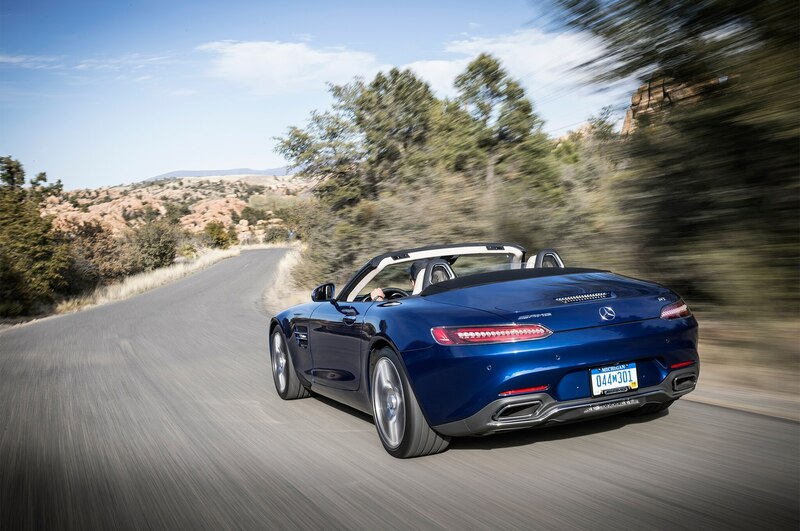 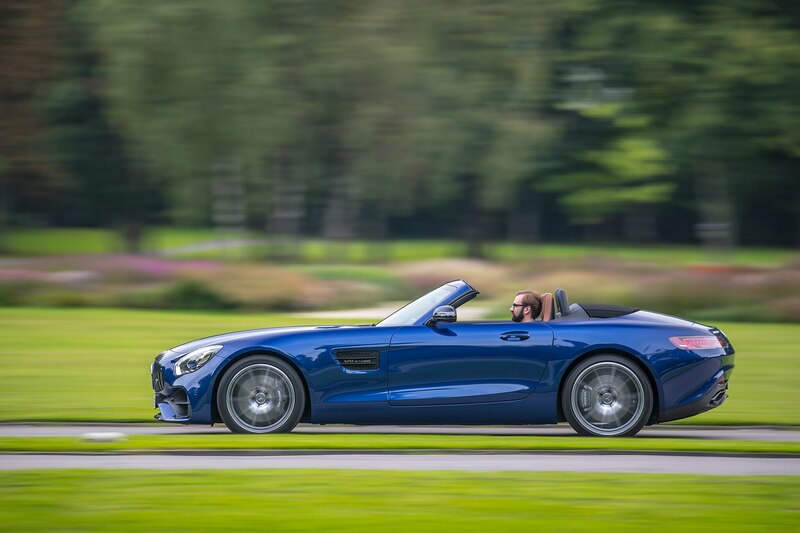 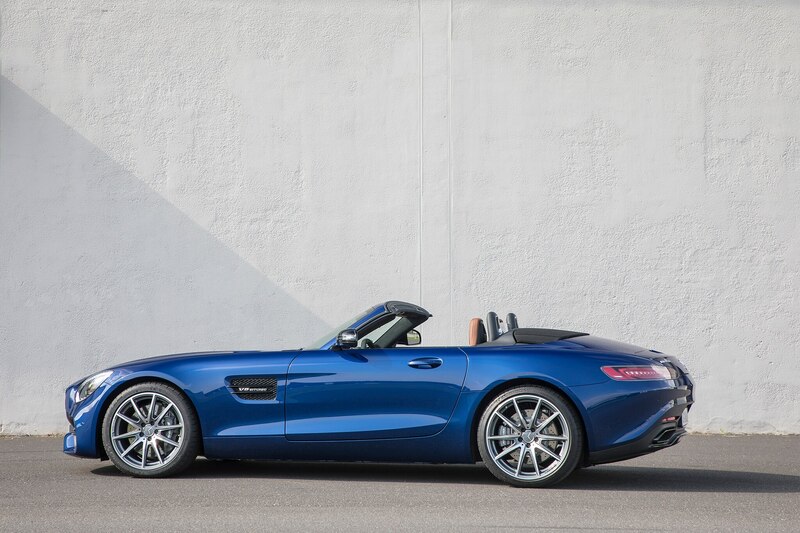 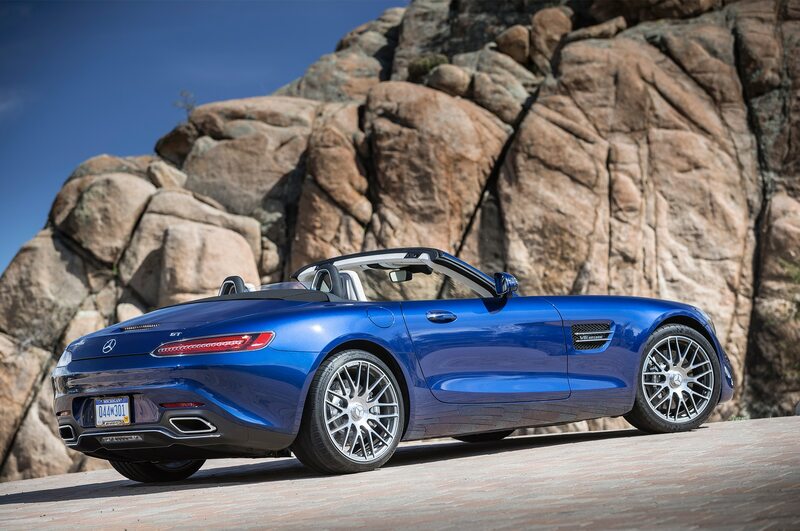 I was commuting home in a Brilliant Blue Metallic 2018 Mercedes-AMG GT C Roadster, and I can only presume that he thought I was an attractive woman at first glance (thanks to my flowing blonde locks) when he suddenly realized his mistake. 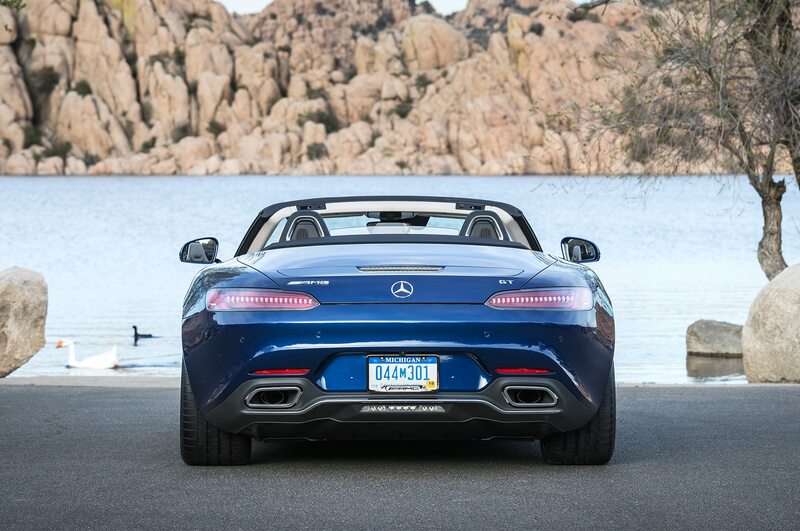 Alas, as Austin Powers would say, it’s a man, baby. 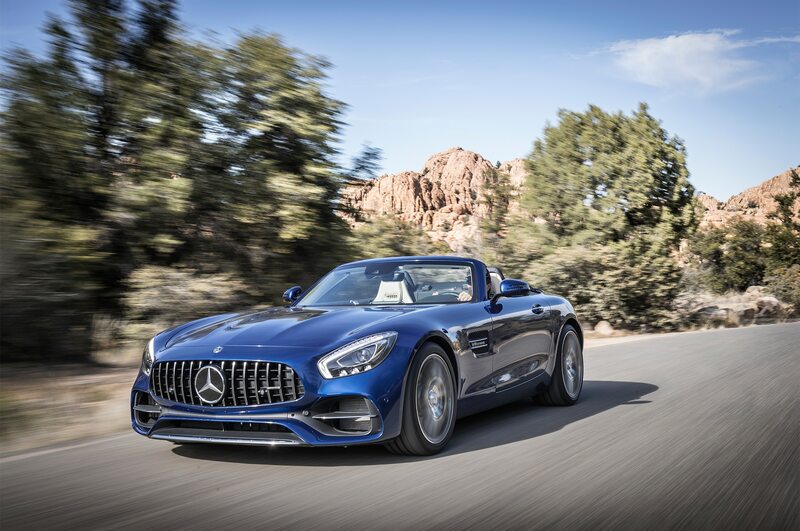 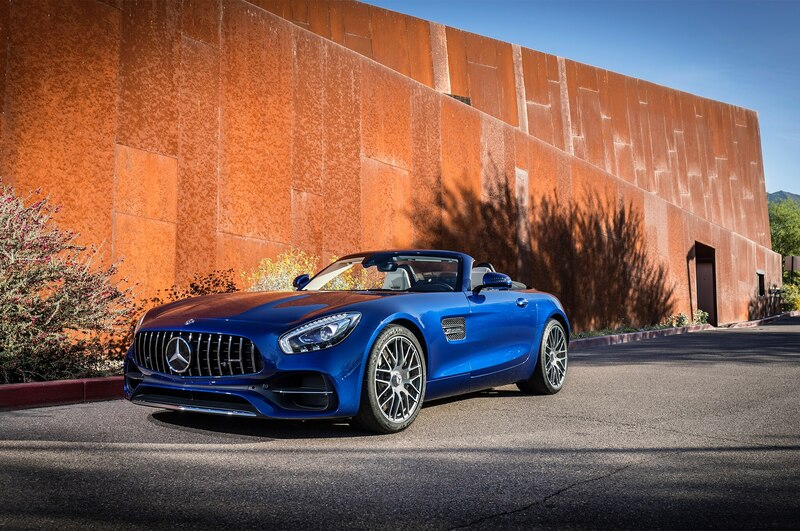 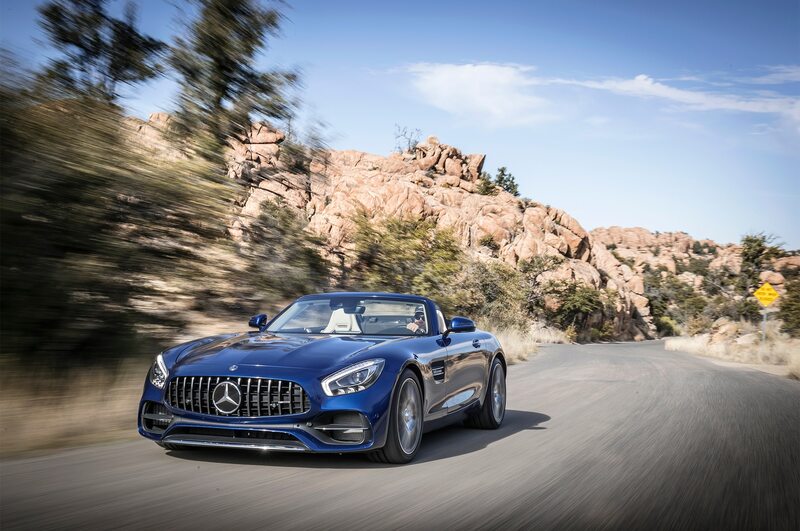 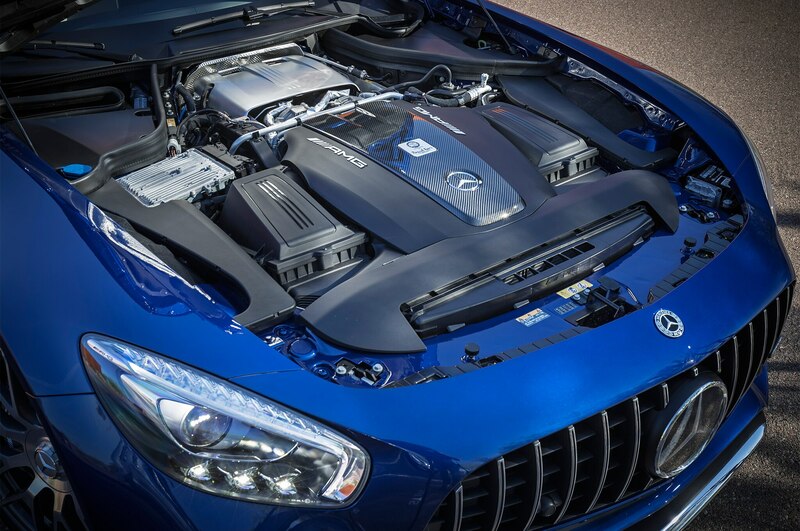 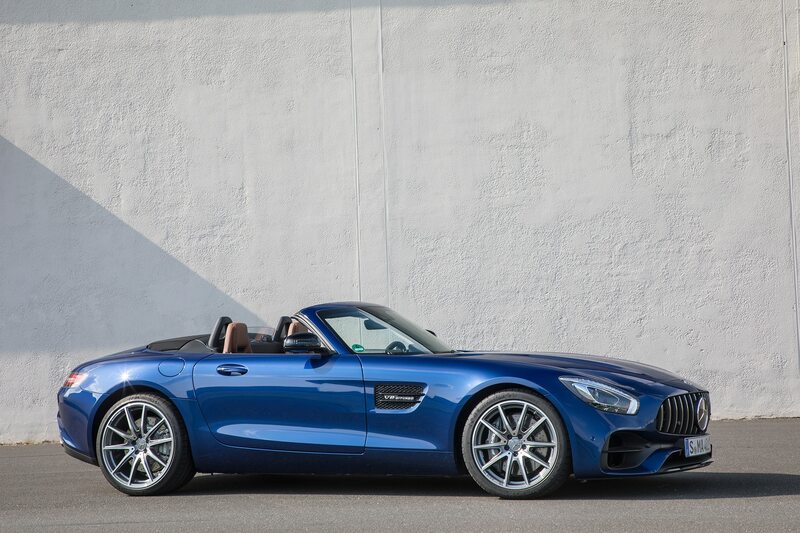 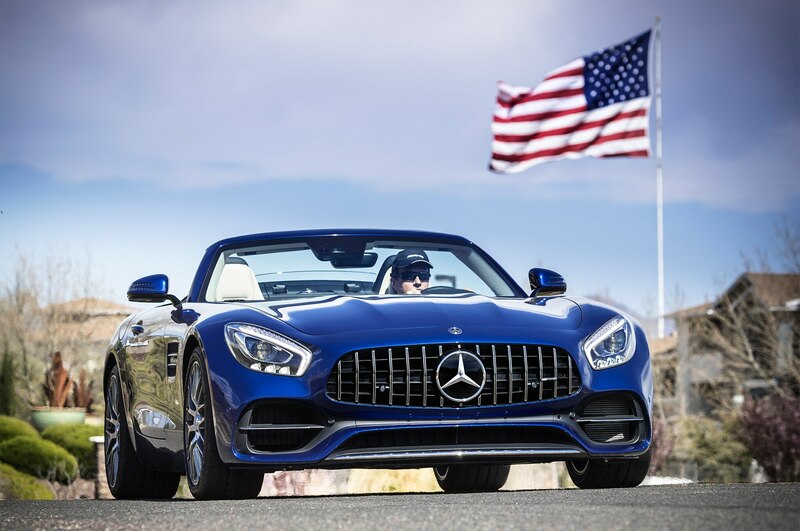 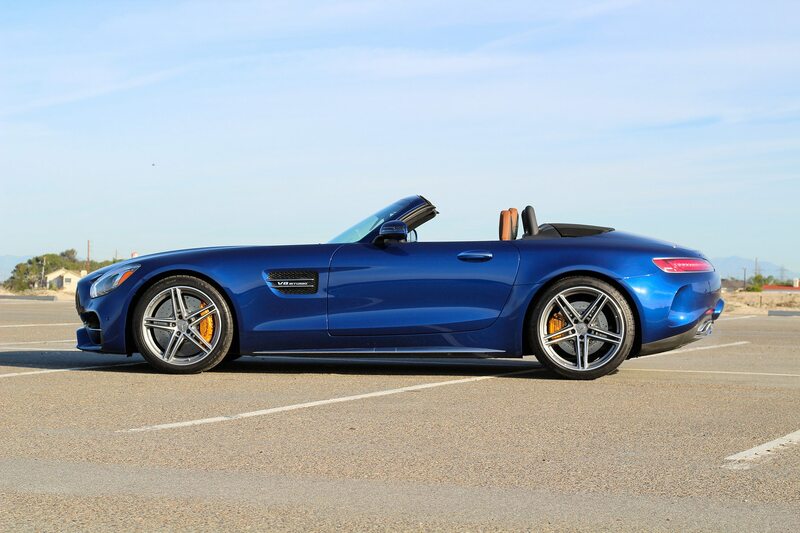 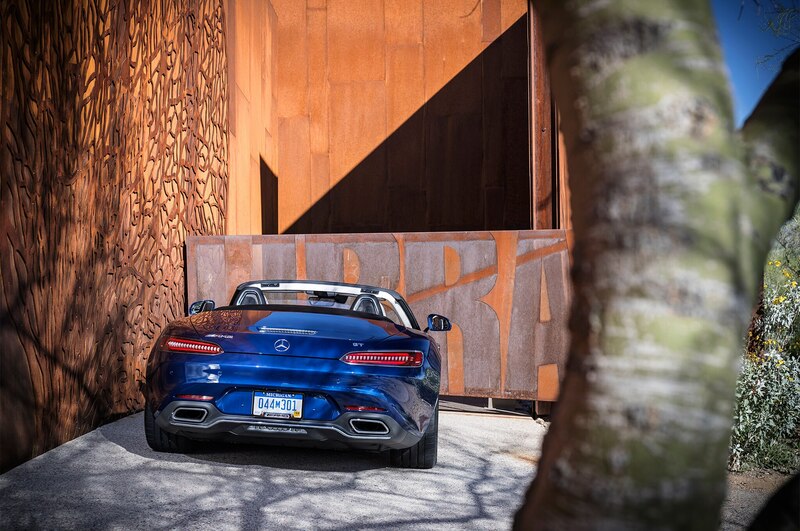 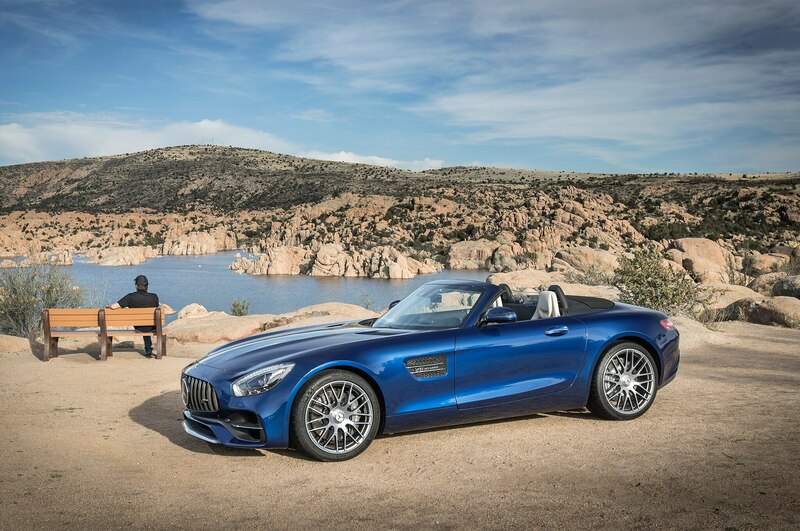 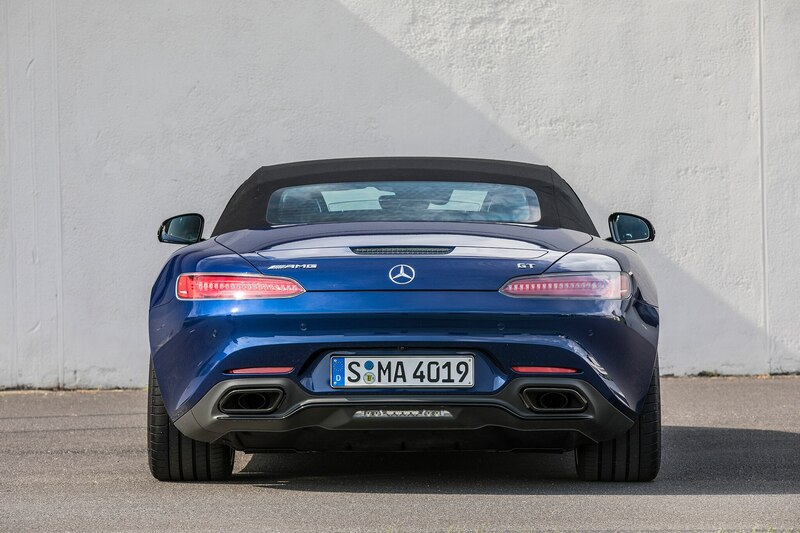 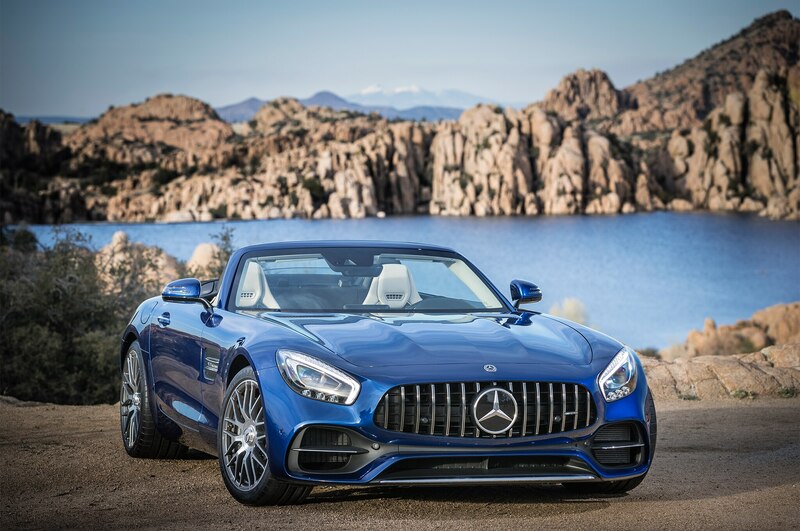 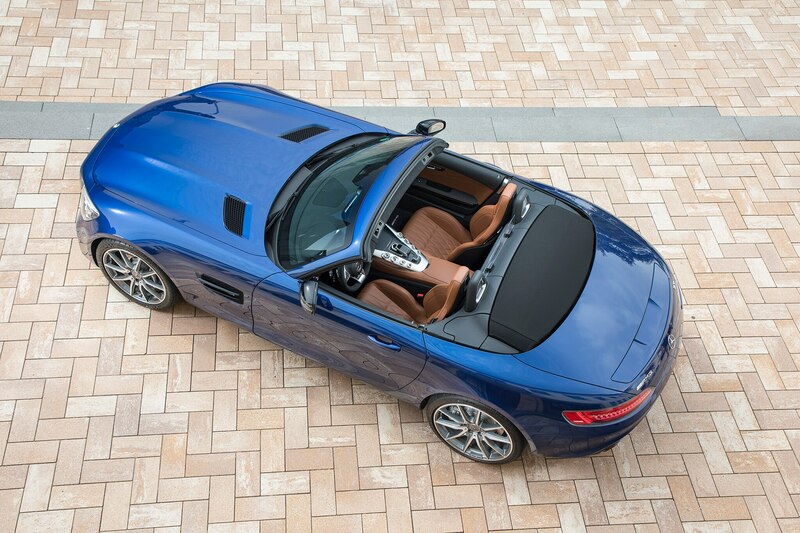 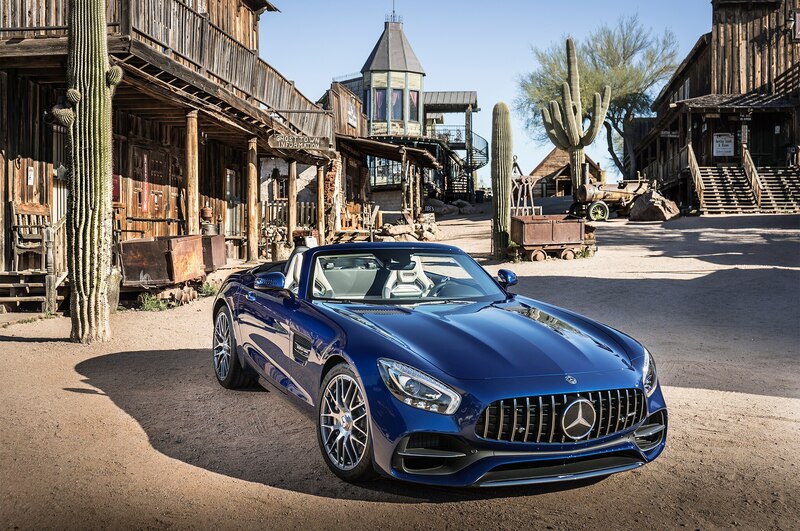 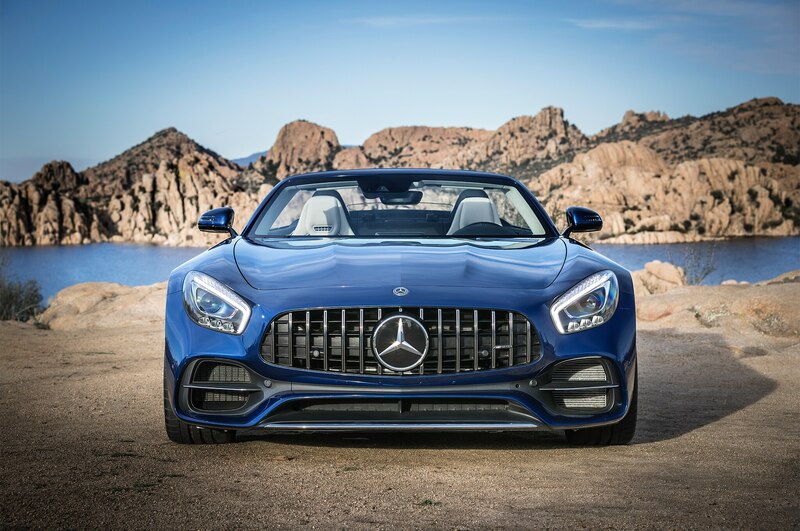 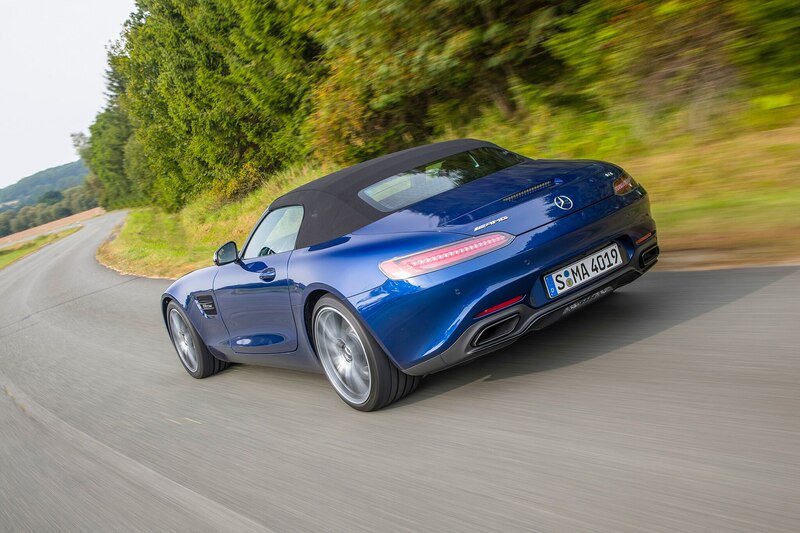 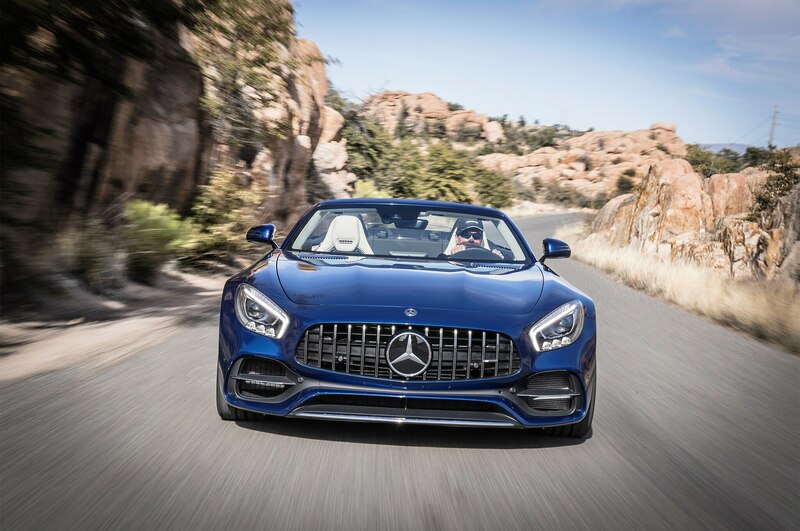 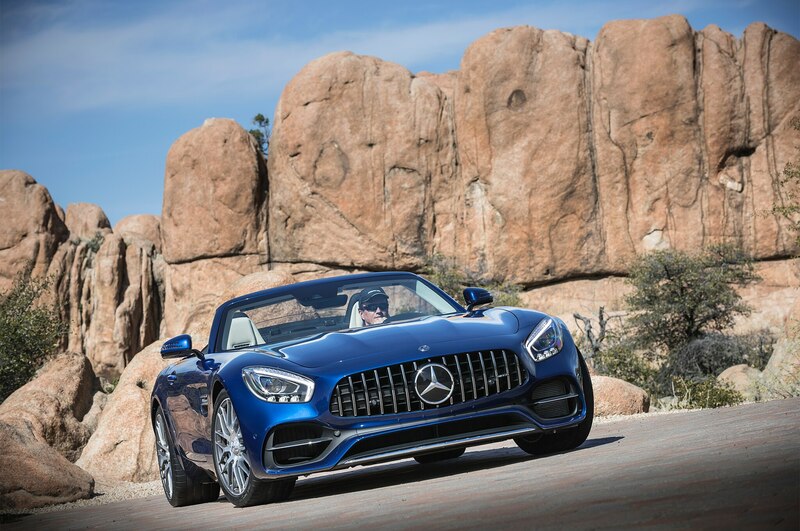 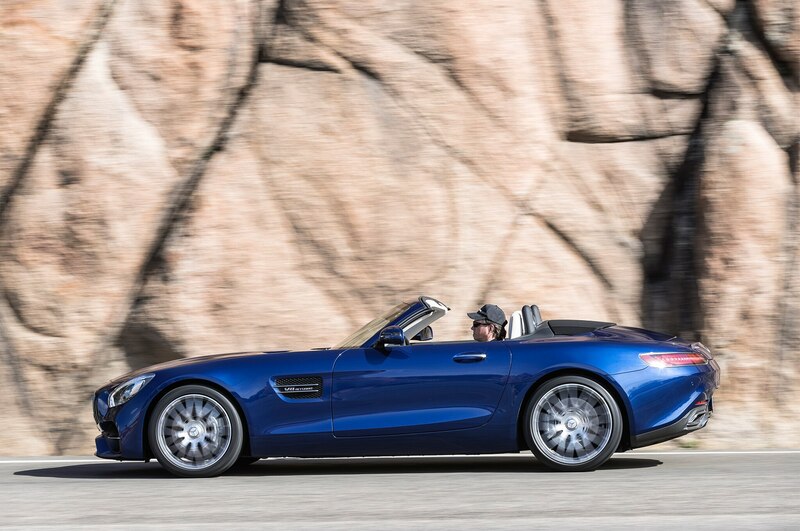 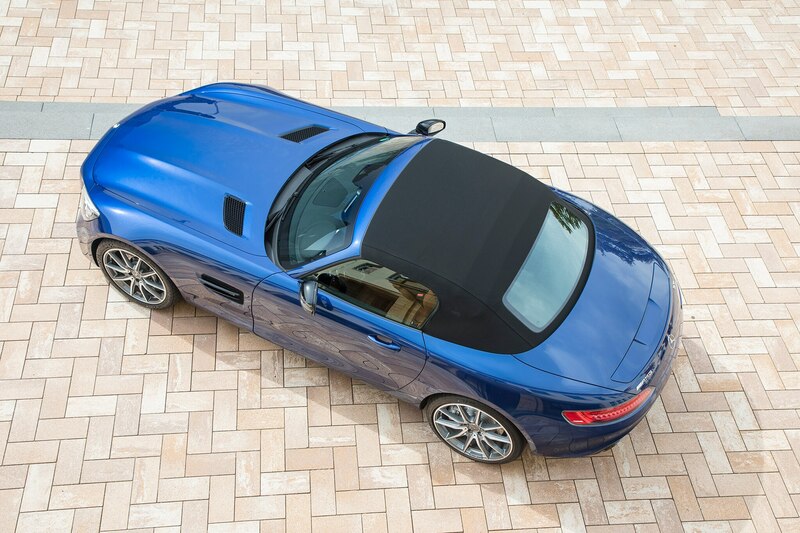 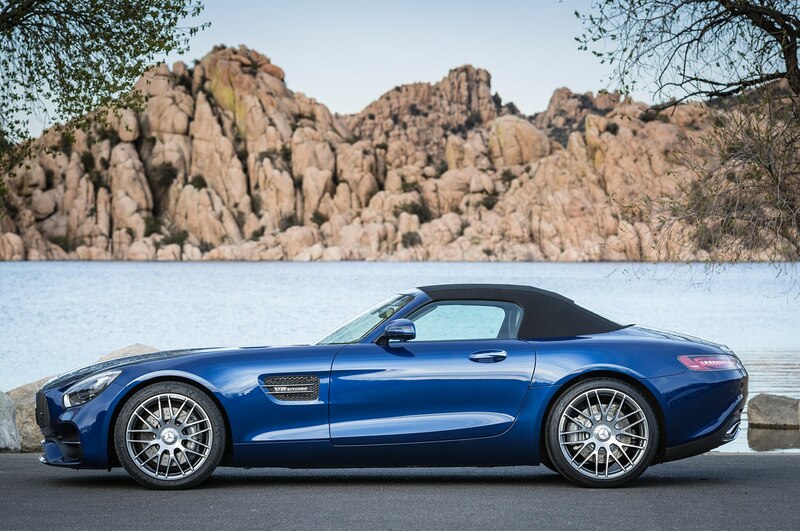 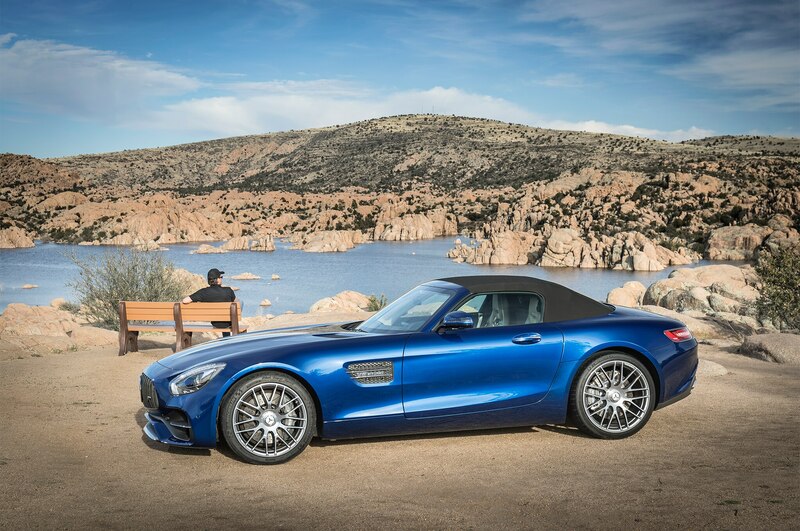 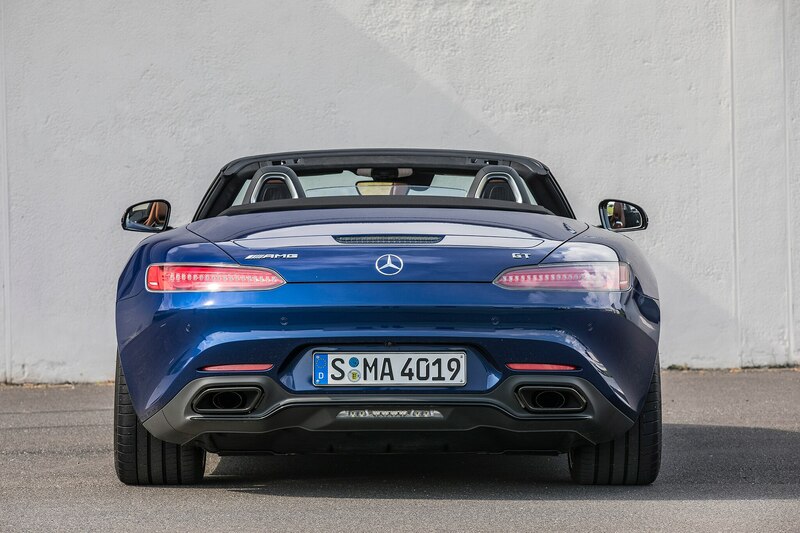 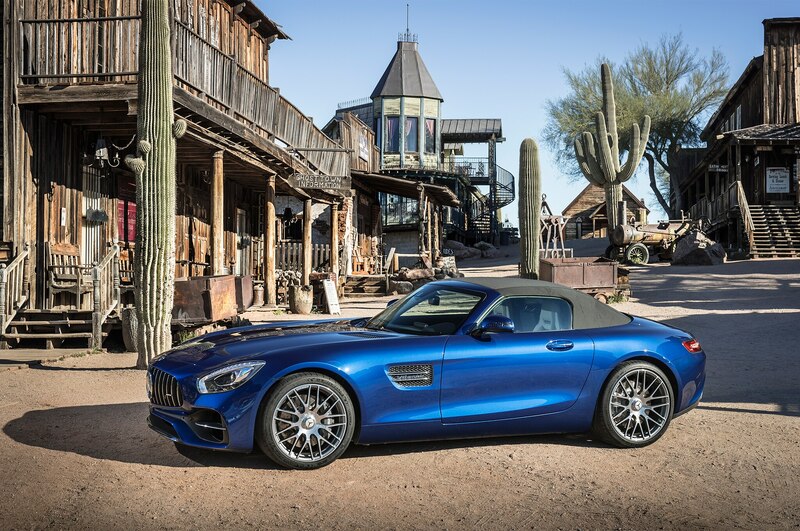 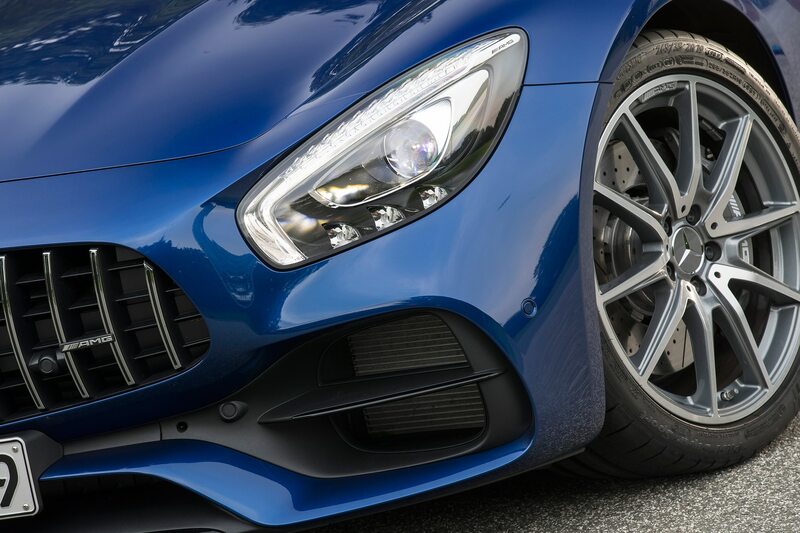 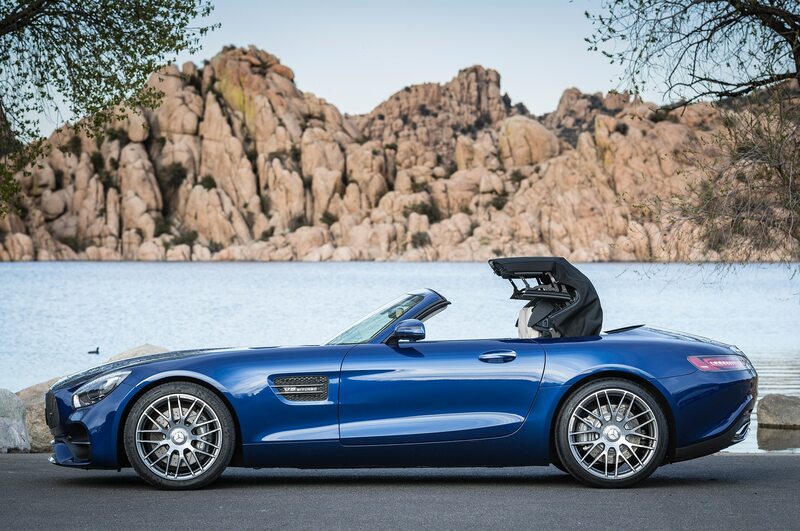 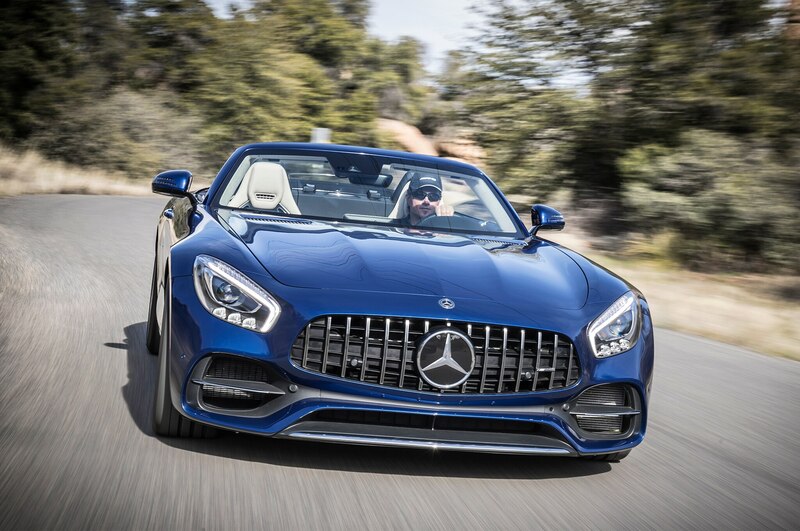 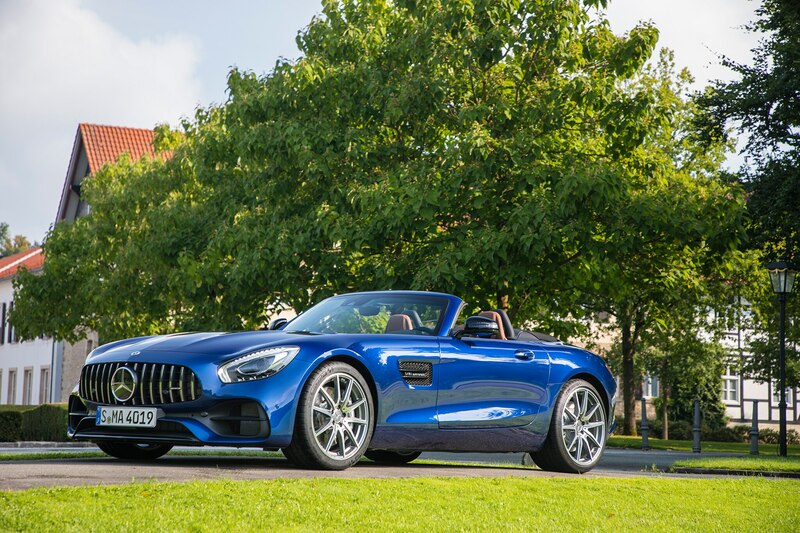 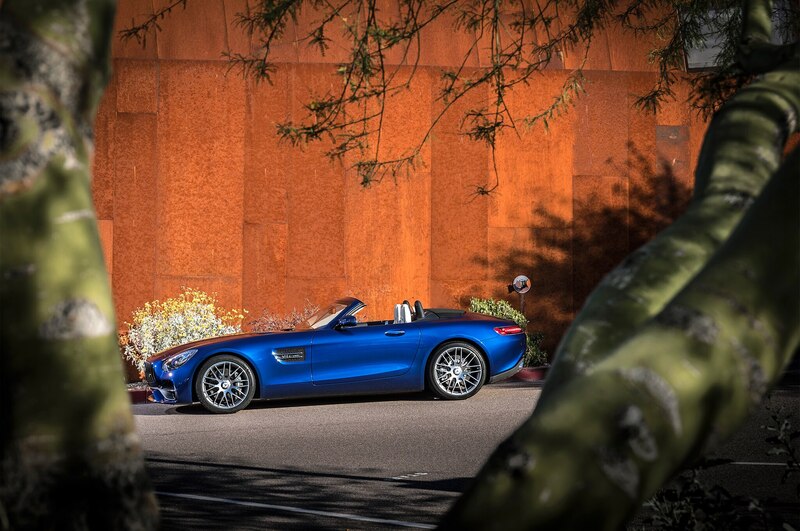 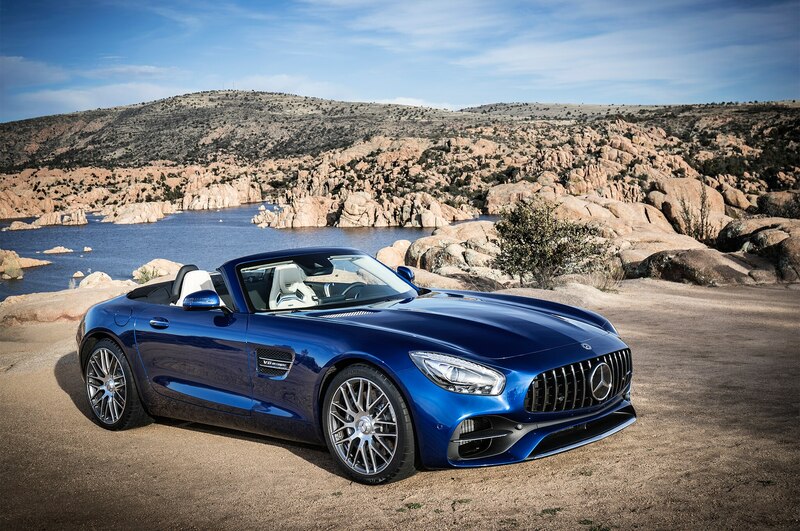 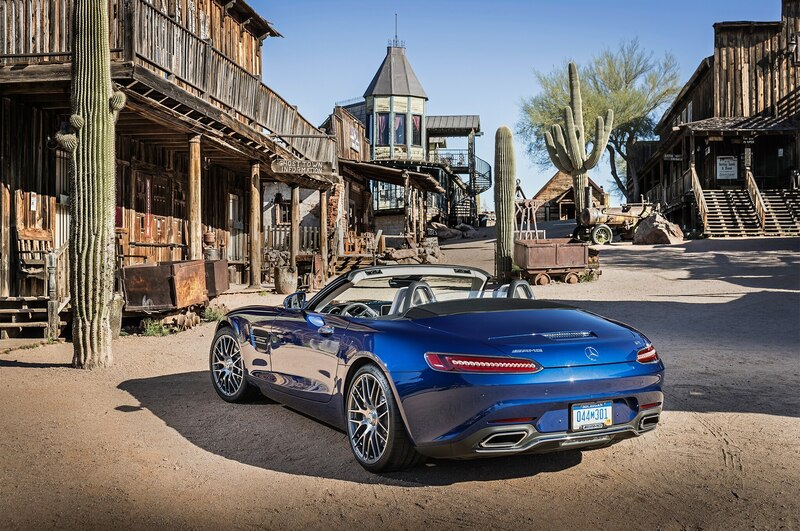 Despite foregoing the giant carbon-fiber wing of its race ready AMG GT R big brother, the AMG GT C Roadster isn’t giving up anything to the GT R in the eyeball-grabbing department from what I could tell—especially in its lovely deep blue hue. 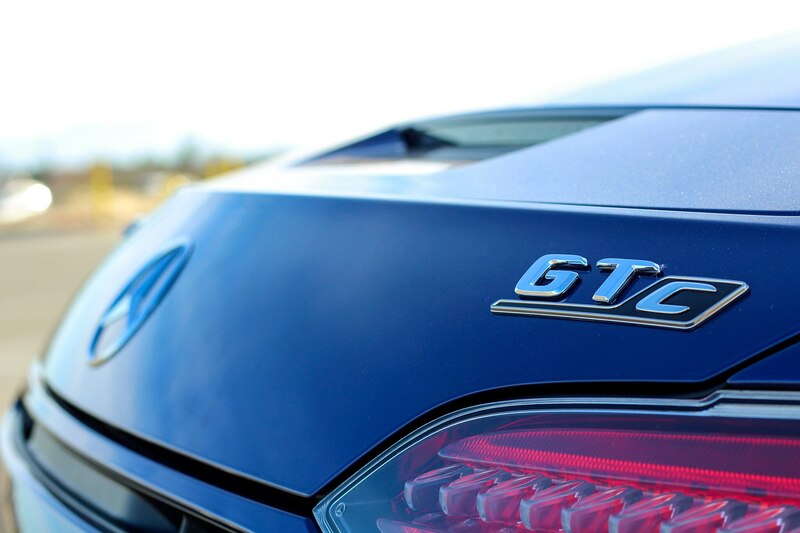 From the greenhouse line on down, the GT C has the same shape as its 2018 All-Stars-winning GT R sibling—and the same 4.0-liter twin-turbo V-8 under its hood, albeit sending “just” 550 hp and “a mere” 502 lb-of torque to its seven-speed dual-clutch automatic, an output drop of 27 and 14, respectively. 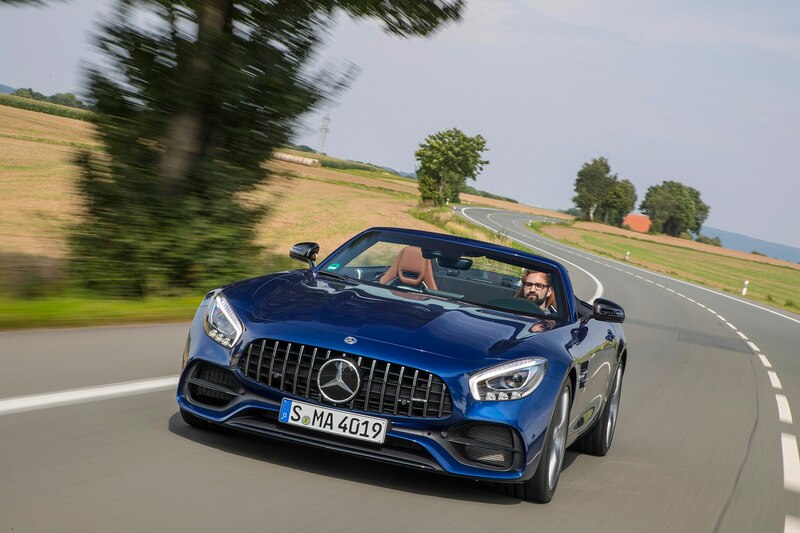 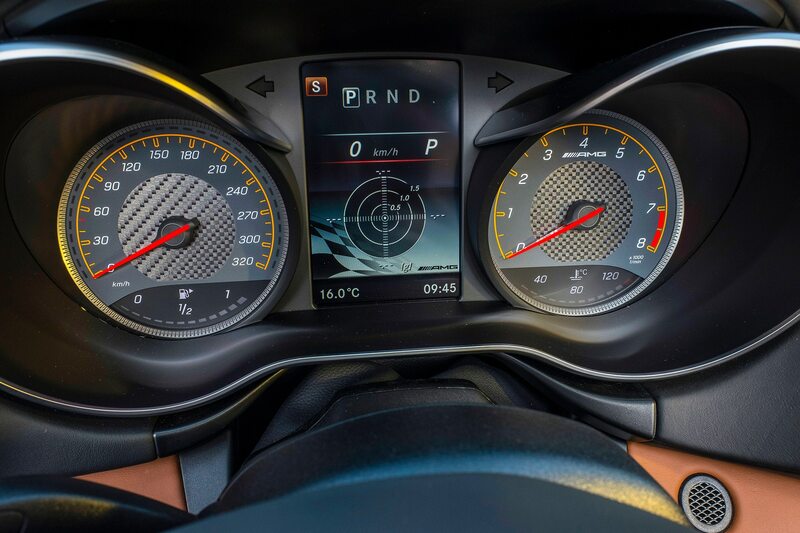 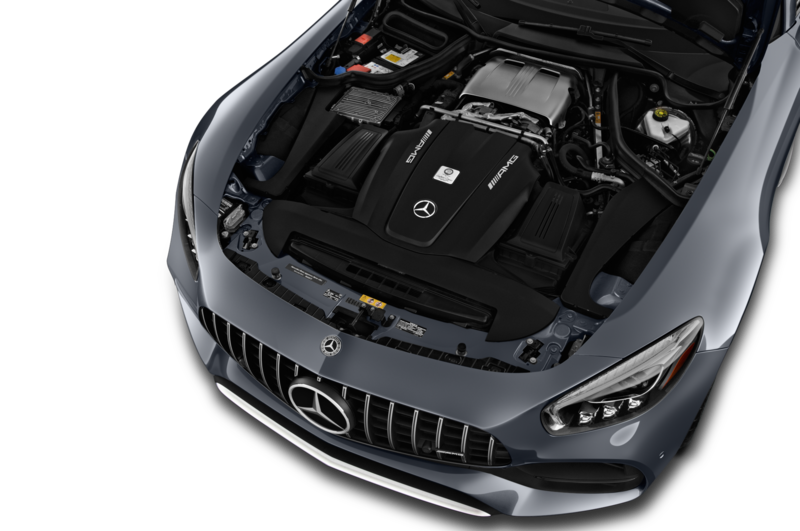 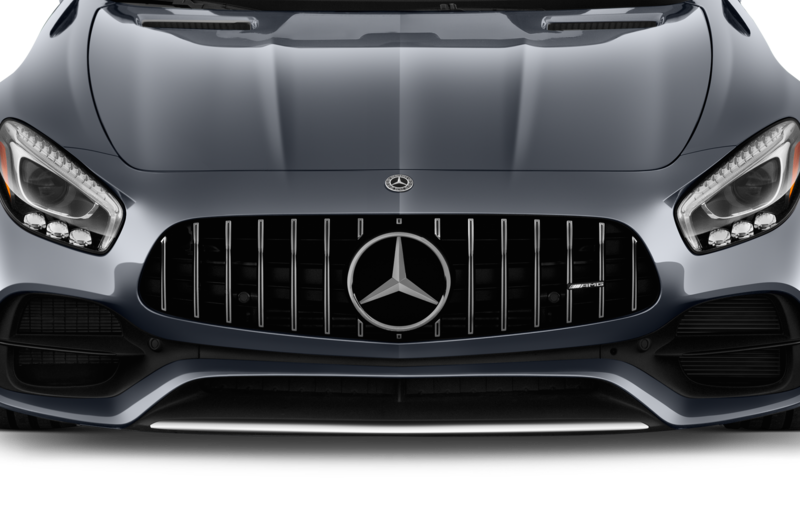 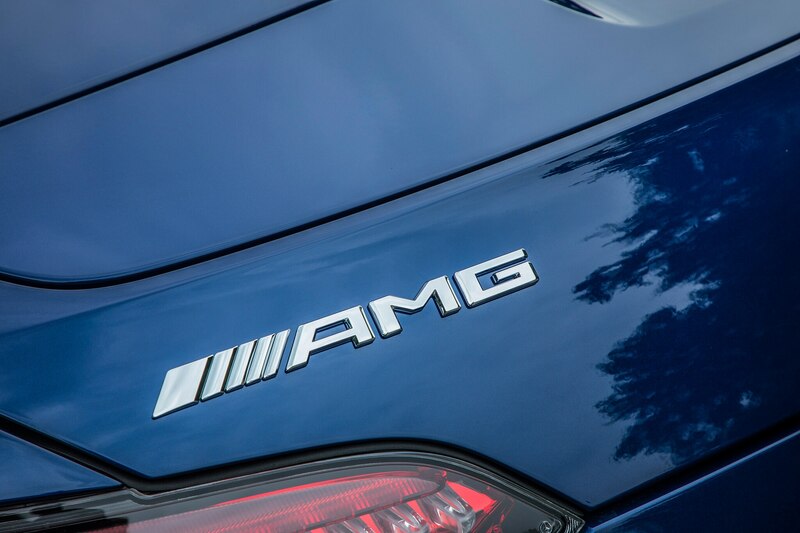 You’ll never notice the power difference though unless you take the two racing back-to-back, as the AMG GT R is only 0.1 second quicker to 60 mph and there isn’t much drop-off when it comes to input response, either. 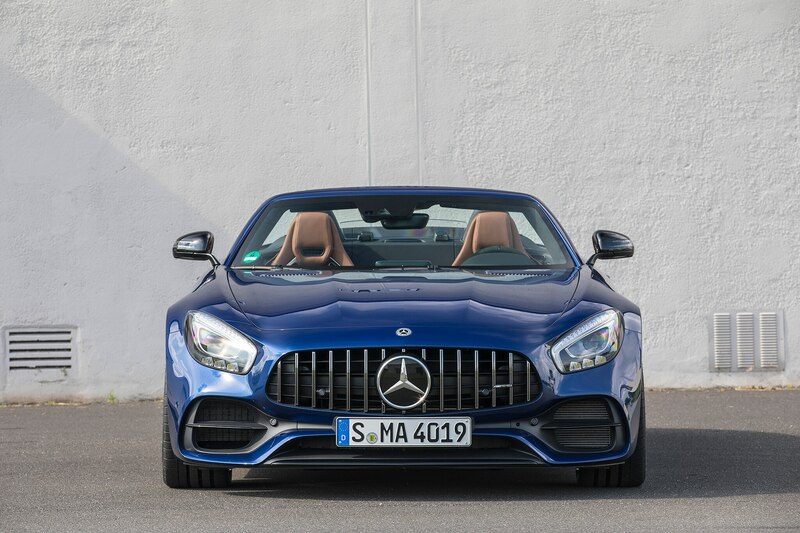 And while the GT C Roadster isn’t quite the surgical scalpel the GT R is, it’s still plenty sharp and feels like a proper driver’s car. 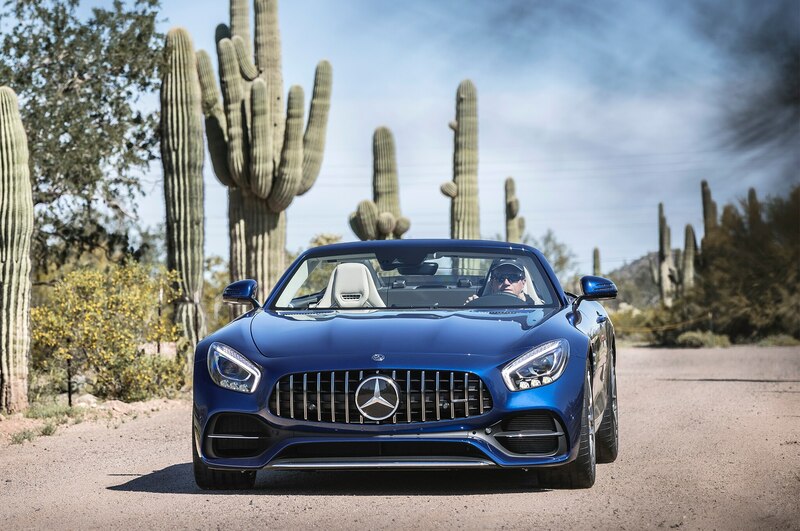 Both would be just as happy laying down hot laps out under the desert sun during a private track day at The Thermal Club outside of Palm Springs, California, but the GT C will be easier on your spine during the long drive down the I-10 from L.A. to get there. 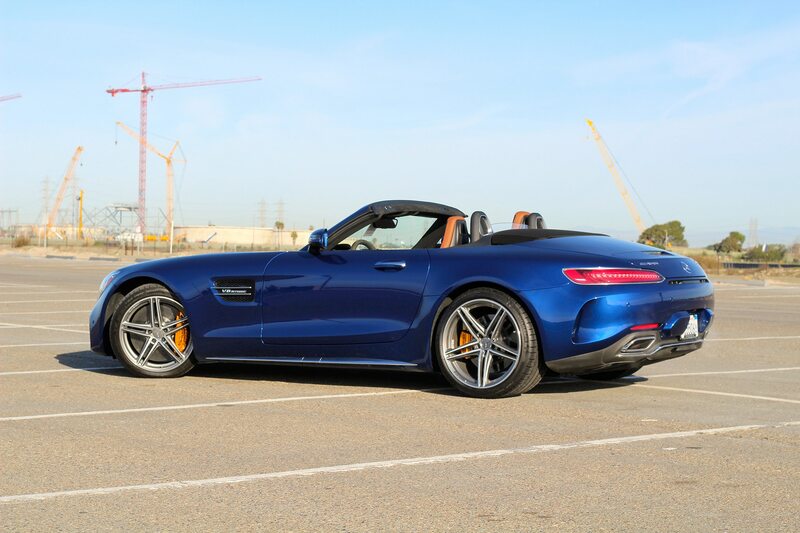 It would also do a much better job of sitting in the driveway of the famous mid-century modern house you rented in Palm Springs for the weekend as the GT R’s extra flash doesn’t pair as well with the classy architecture. 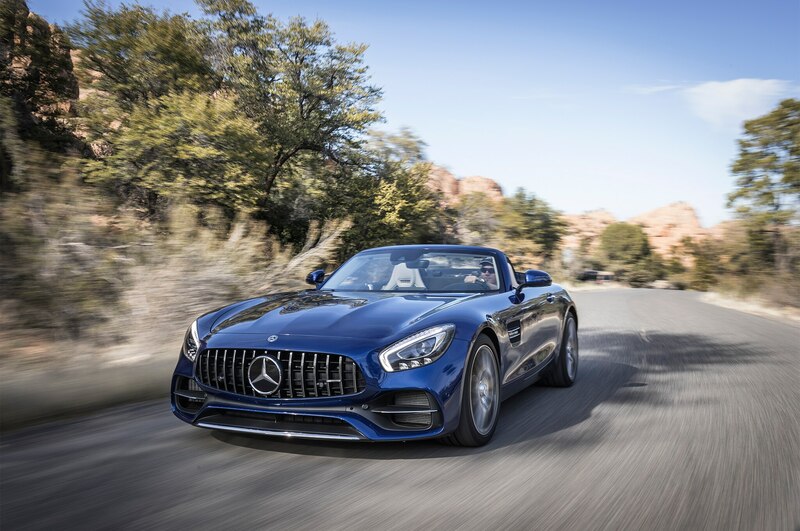 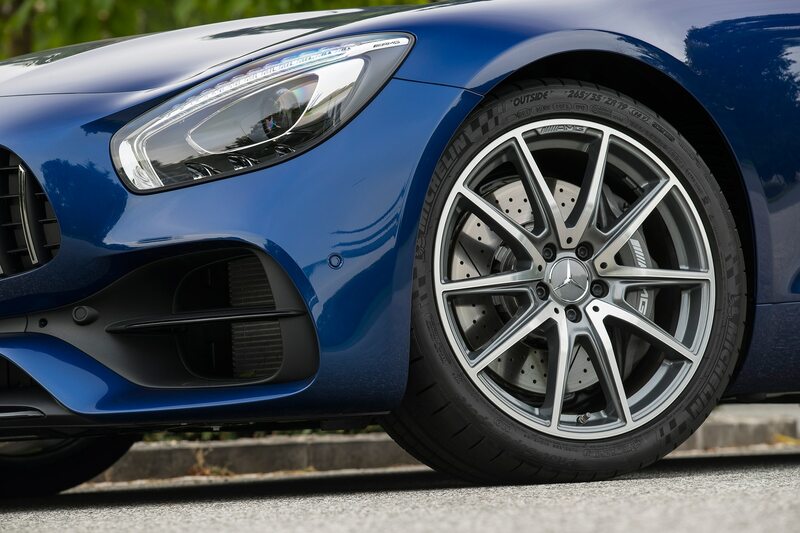 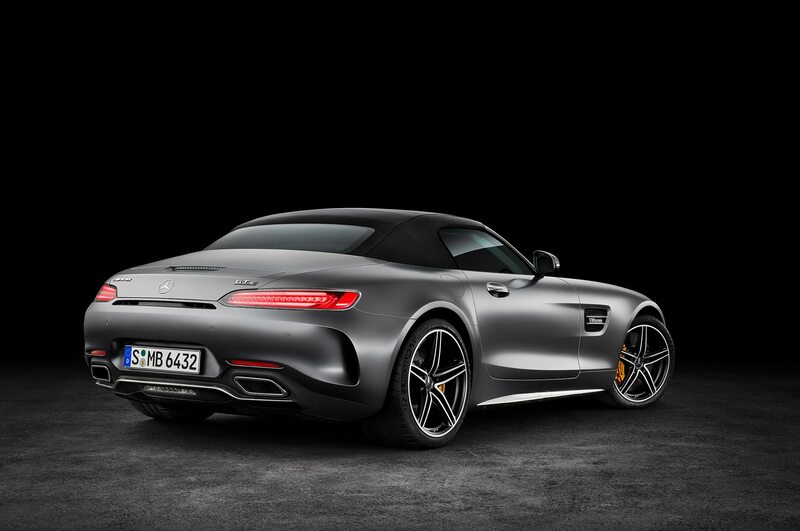 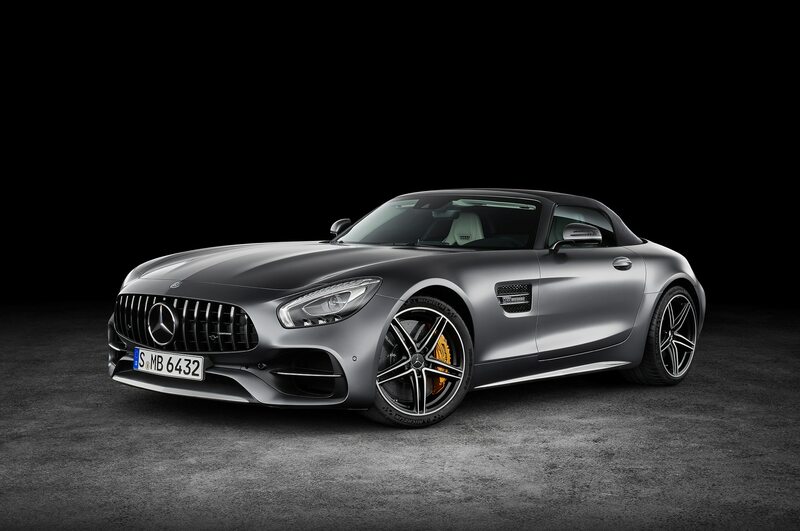 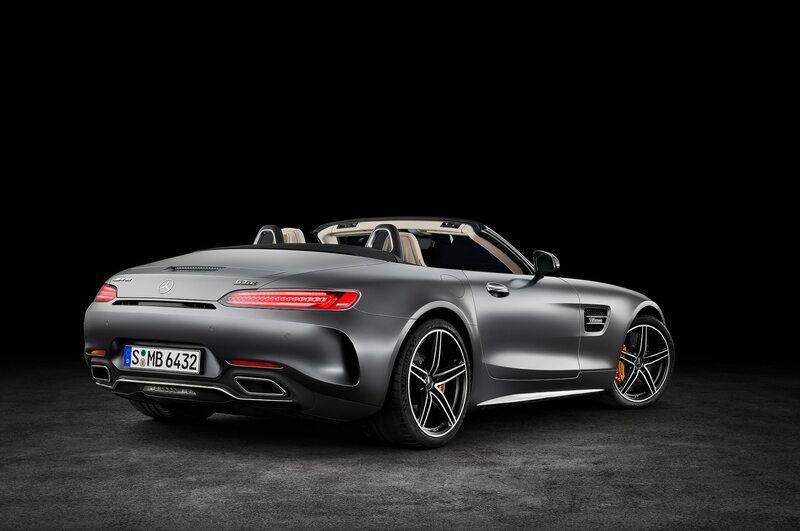 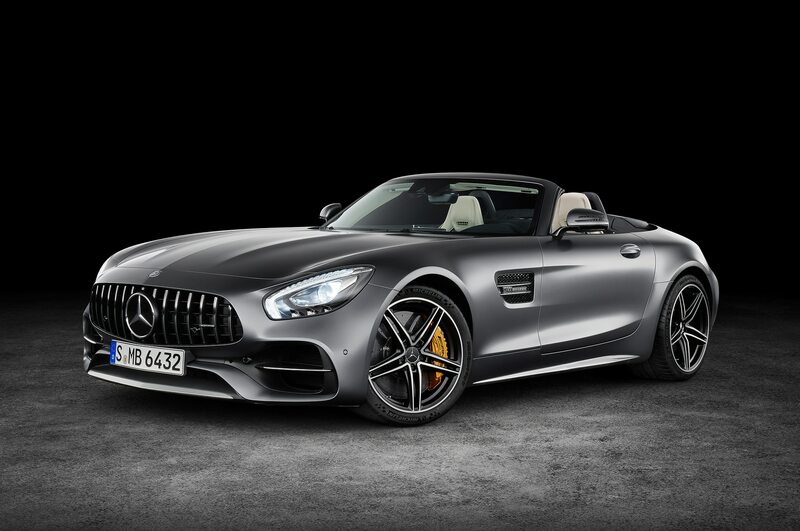 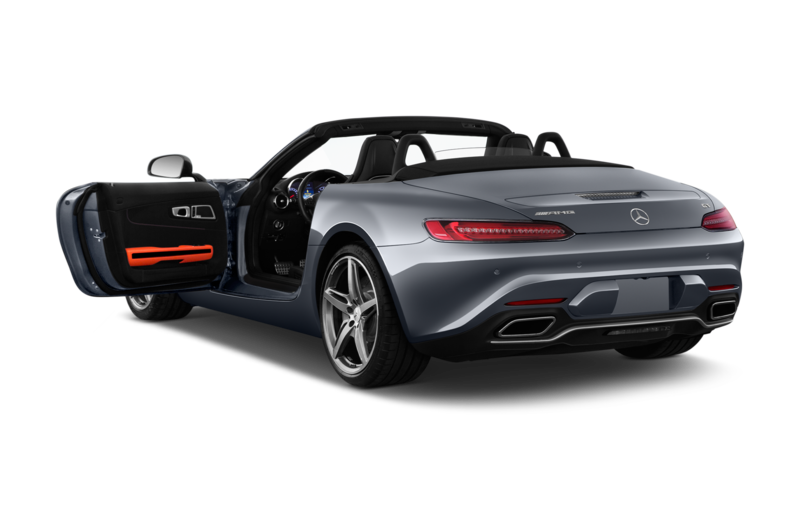 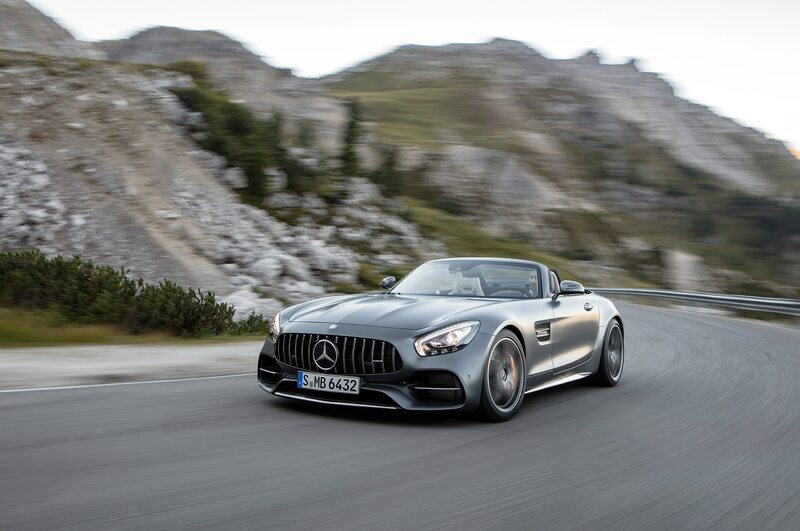 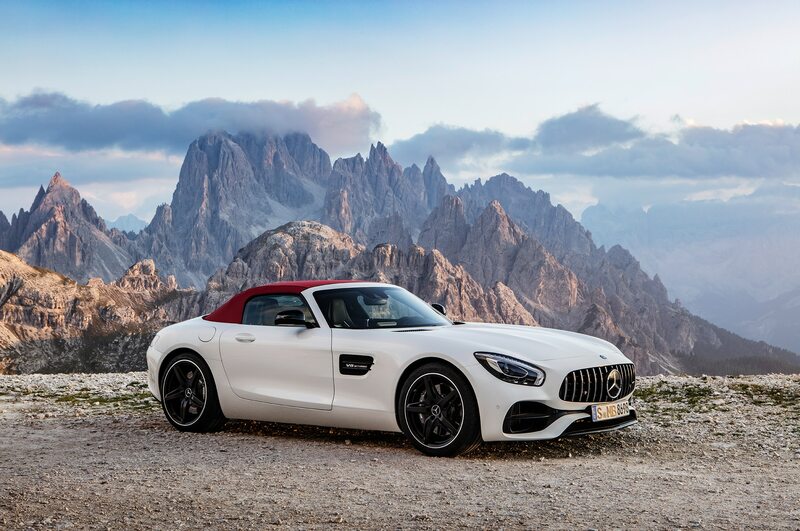 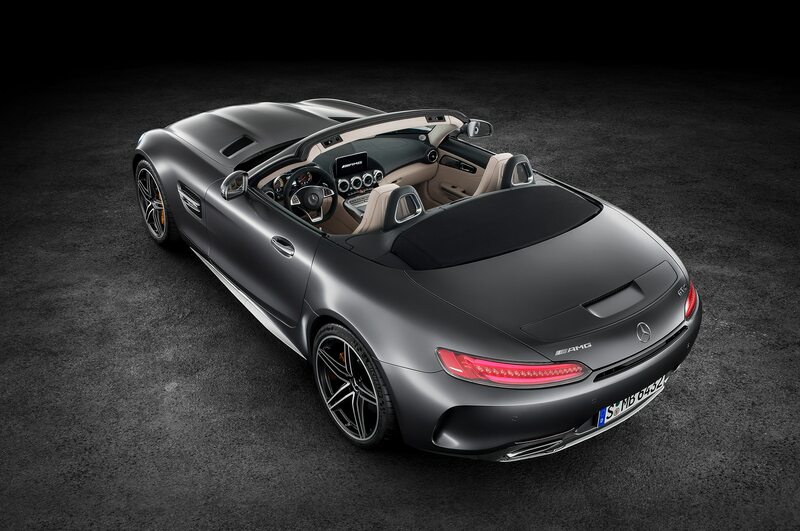 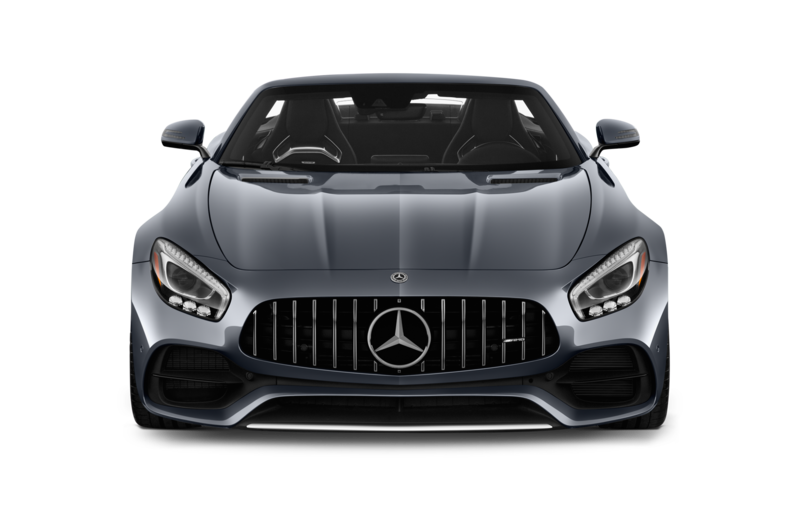 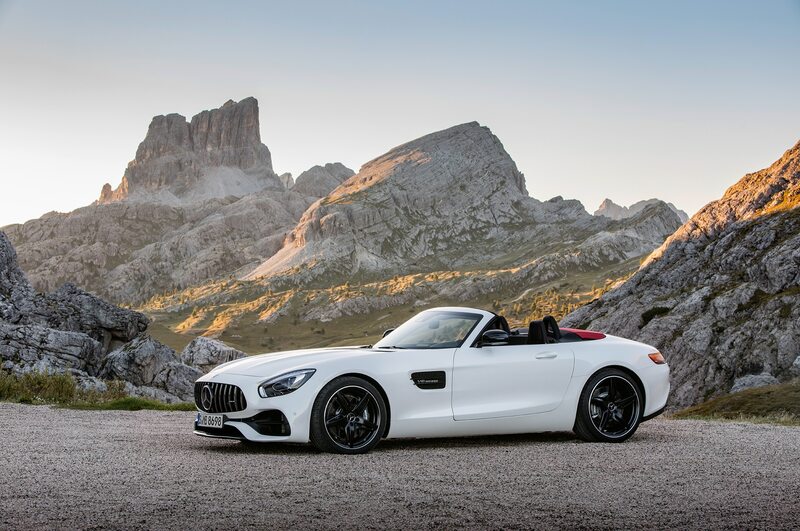 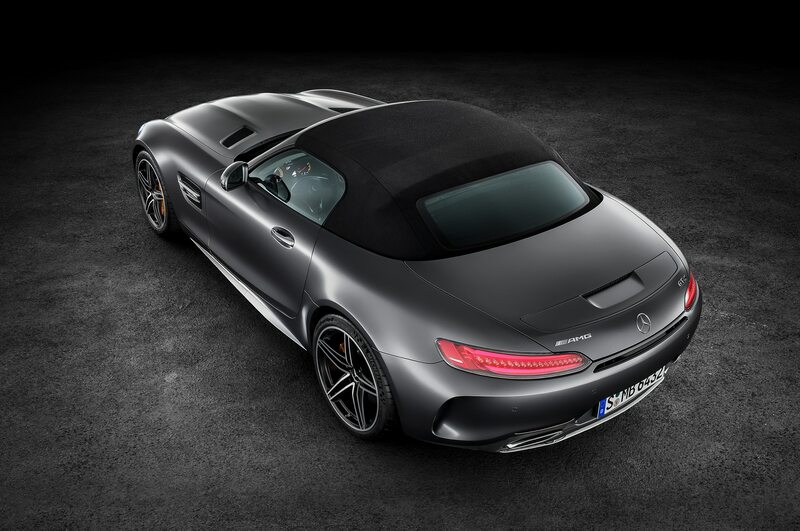 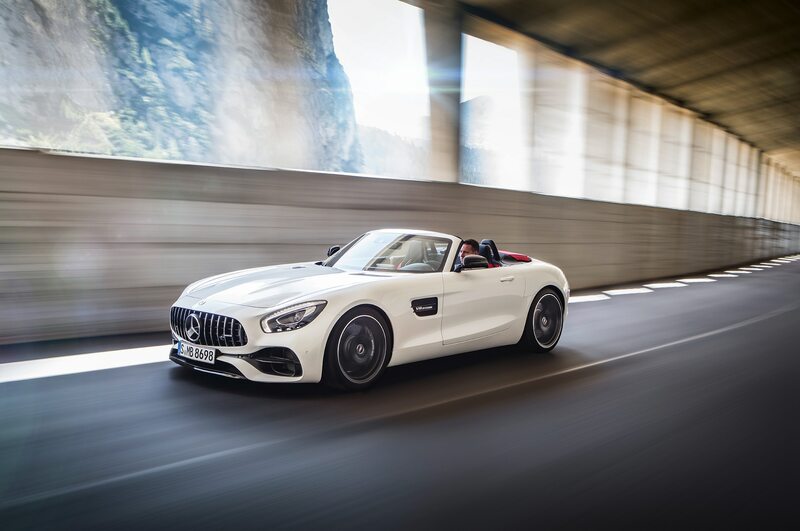 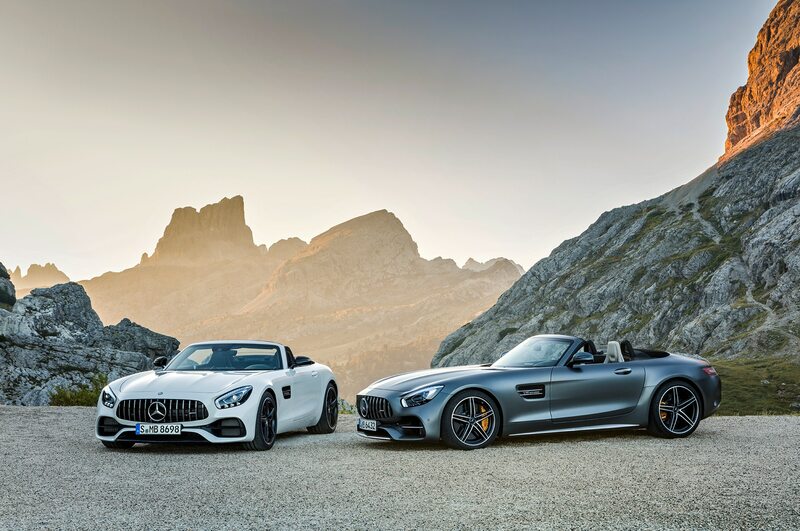 Interestingly, the 3,660-pound AMG GT C roadster is 88 pounds lighter than the 3,748-lb AMG GT C coupe and weighs just 66 pounds more than the carbon fiber-rich AMG GT R, which tips the scales at 3,594 pounds. 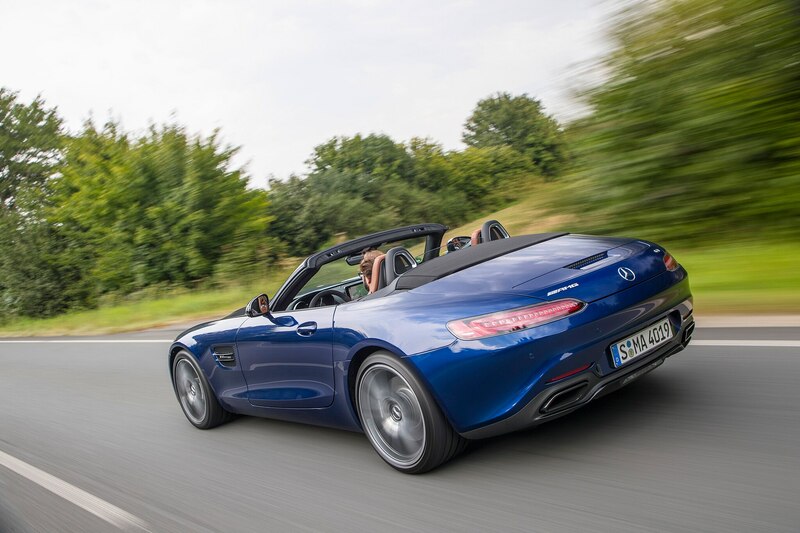 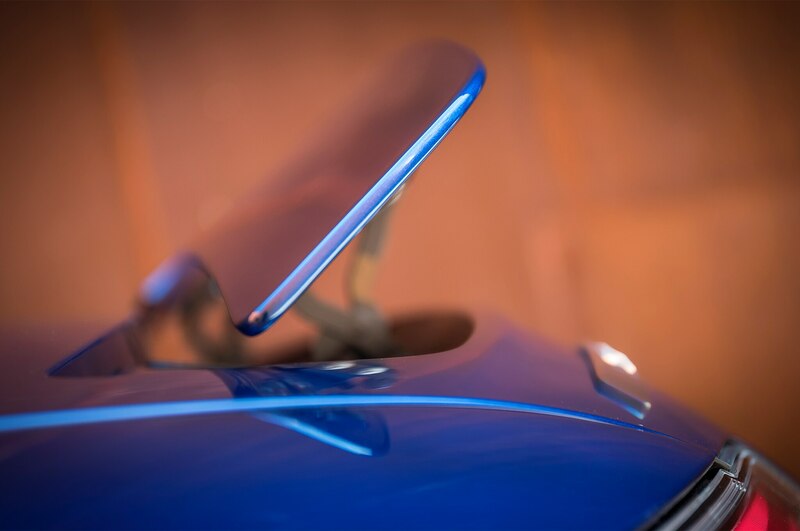 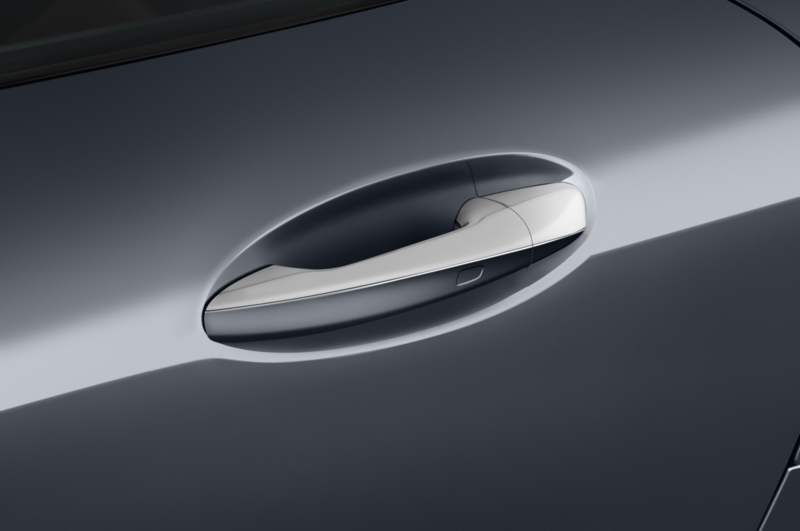 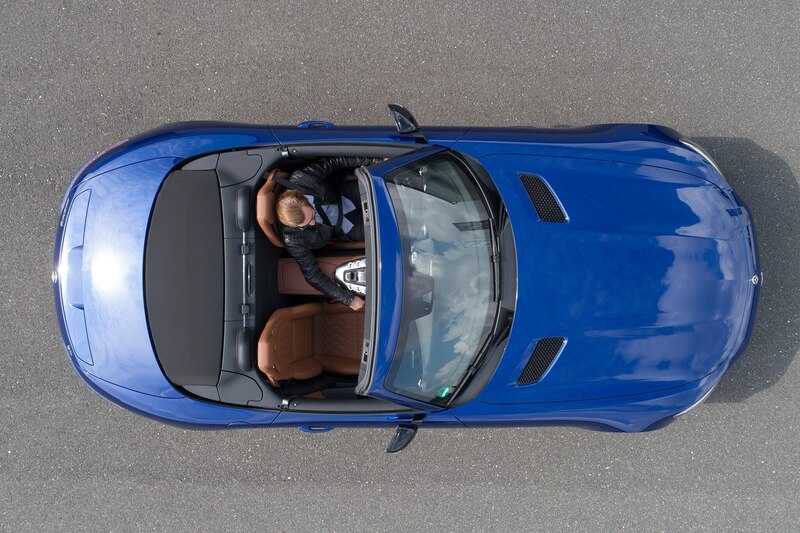 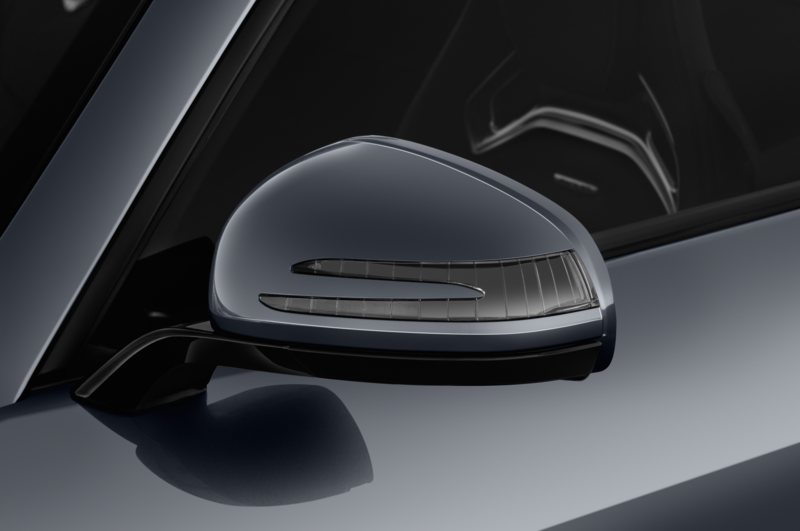 It used to be that drop-tops were consistently heavier than their fixed-roof cousins, but the same weight-saving advances in material technology that let today’s cars cope with today’s safety needs without becoming three-ton pigs make for lighter tops, as well. 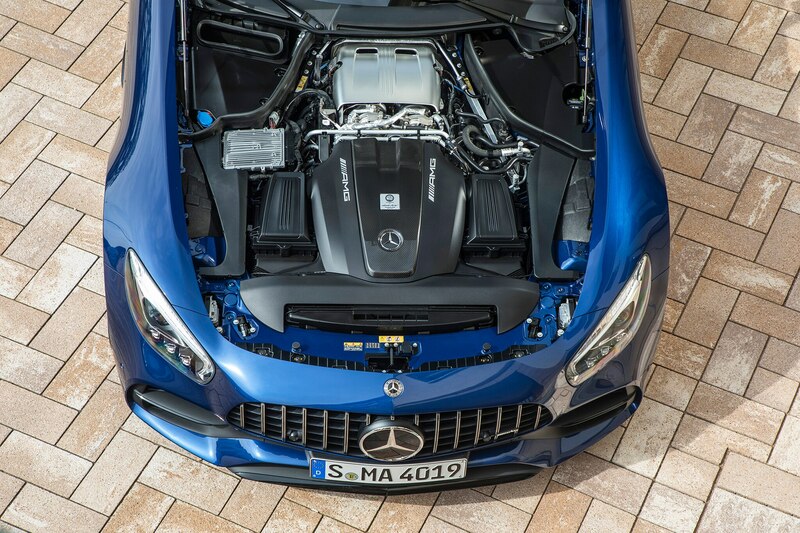 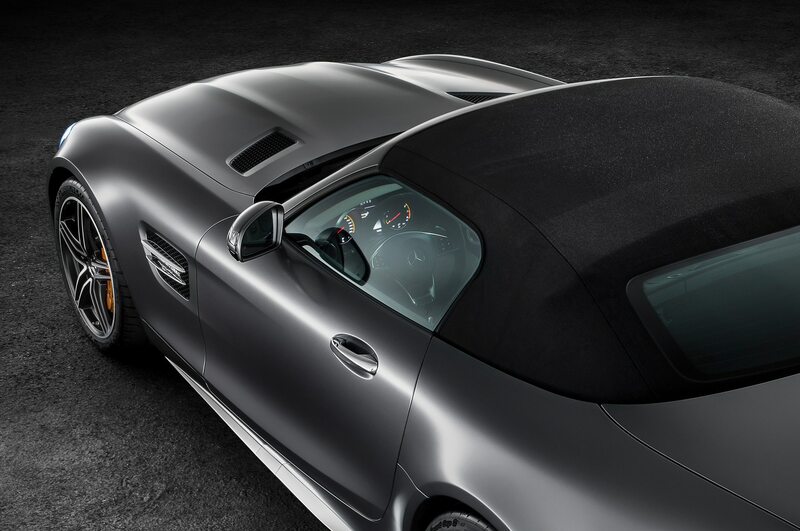 Additionally, no additional bracing was needed for the GT C, which has been an issue in the past with convertibles. 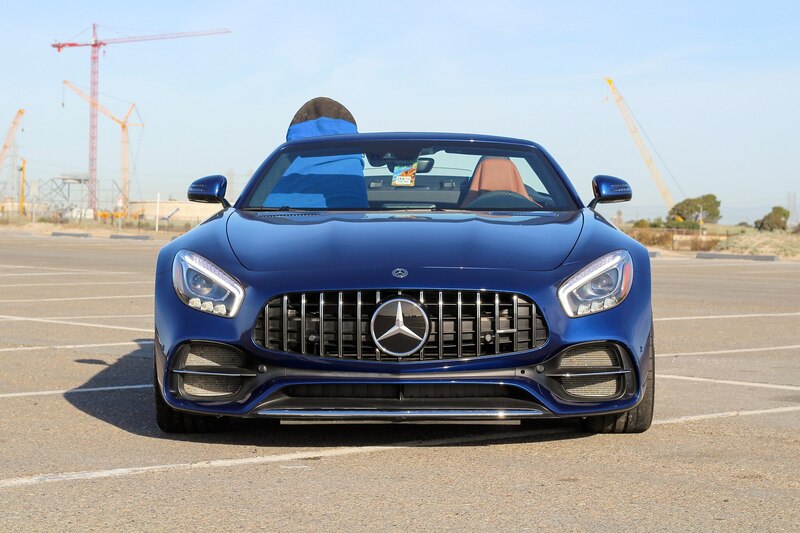 Predictably though, much of the coupe’s relative practicality is eaten up by the GT C’s retractable roof setup, shrinking 10.1 cu-ft of space to just 5.8 cu-ft. That’s barely enough for a set of track day gear for Thermal and a duffel bag filled with a “smart casual” outfit for the house party afterward (few places are more appropriate for a pair of Sperry Top Siders). 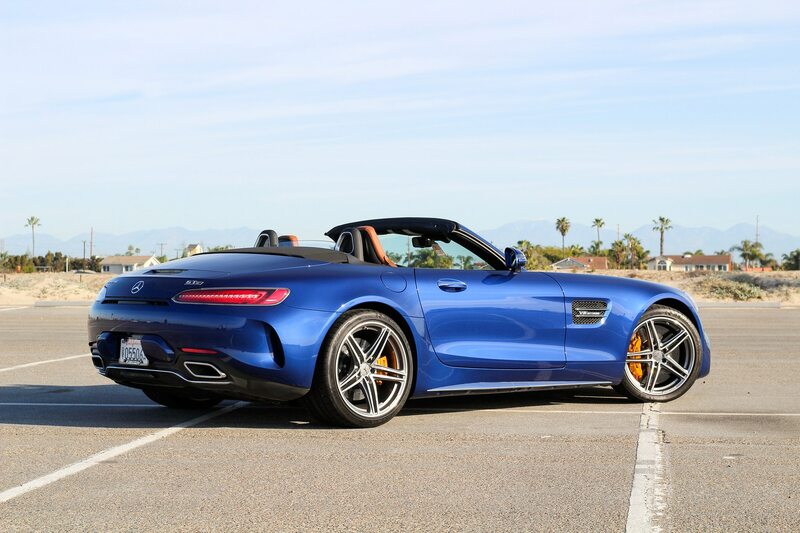 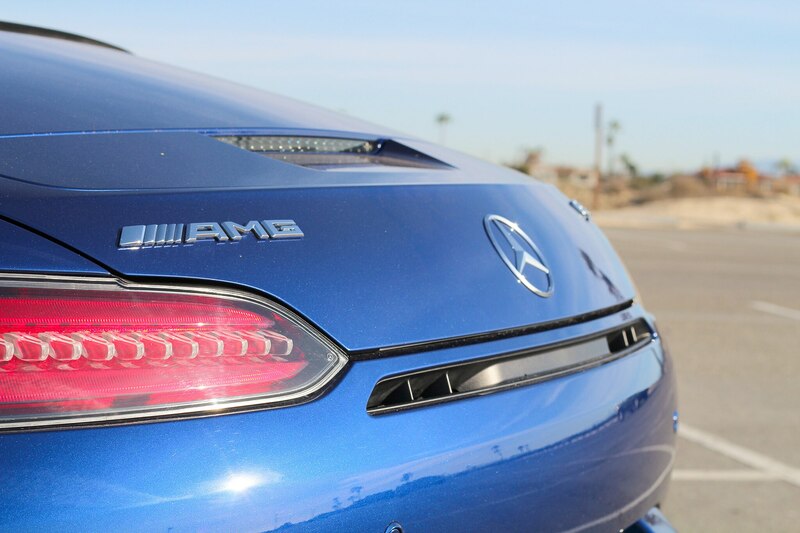 Believe it or not, an AMG GT coupe can consume a short surfboard in the back (ask me how I know), but the only way you’re going surfing with the GT C is if your board is riding shotgun. 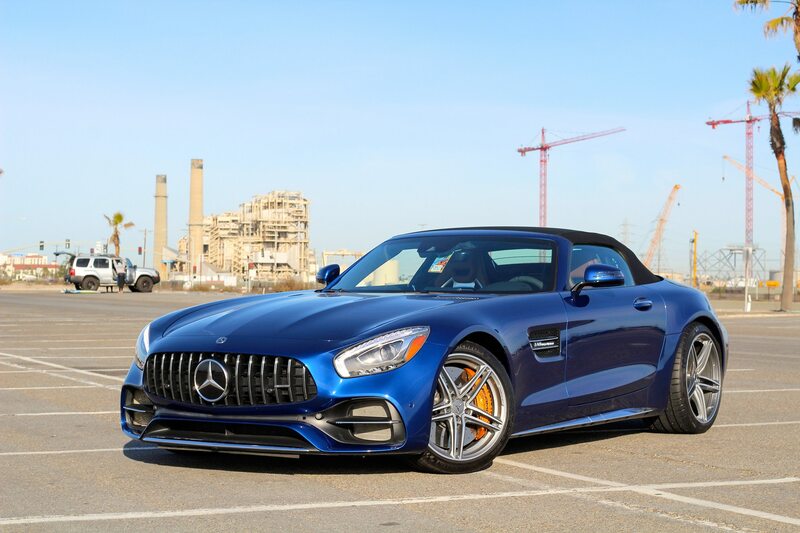 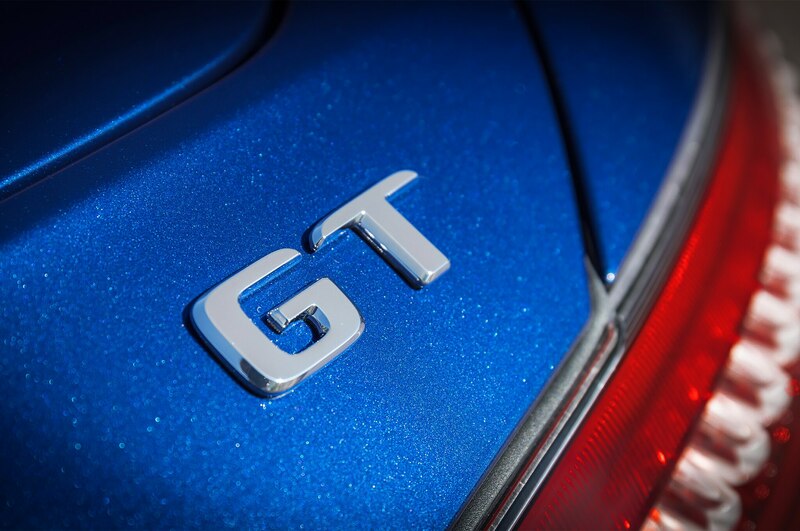 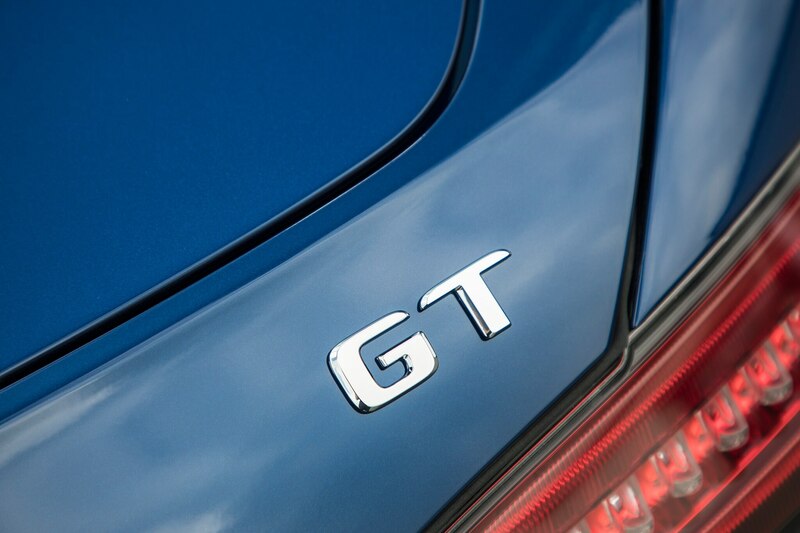 One thing that hasn’t shrunk over the coupe is the GT C’s growling twin-turbo V-8, which offers up a potent soundtrack when you’re heading home to Malibu on the Pacific Coast Highway. 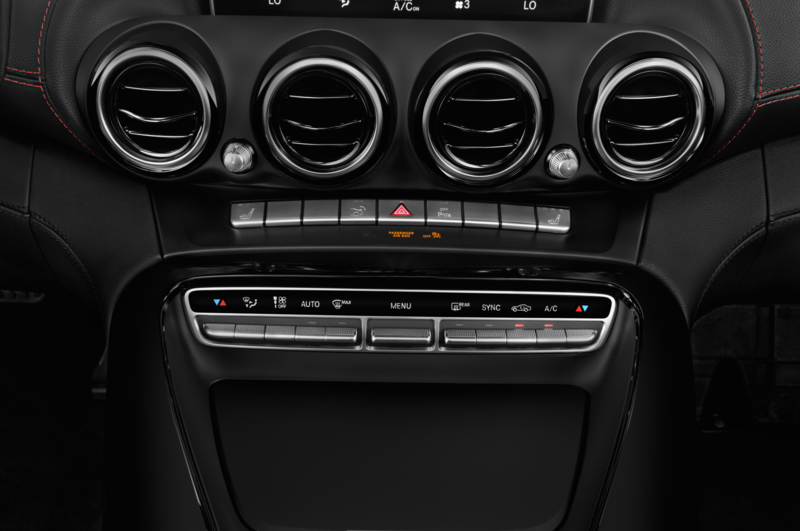 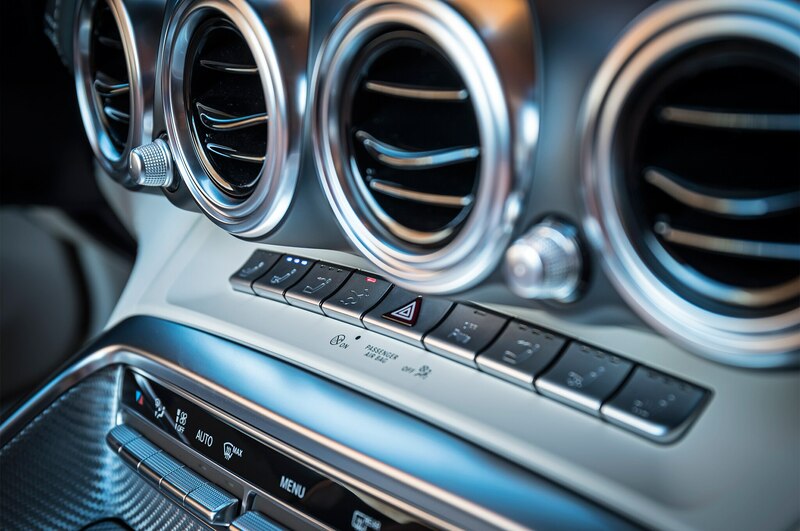 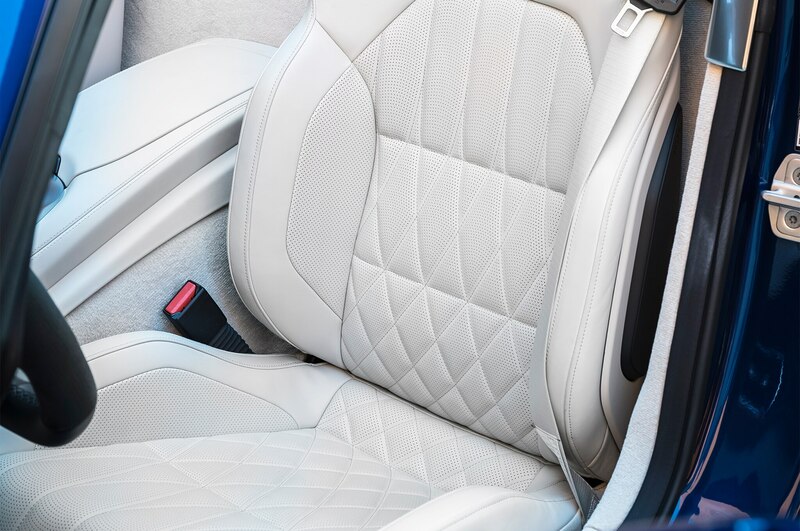 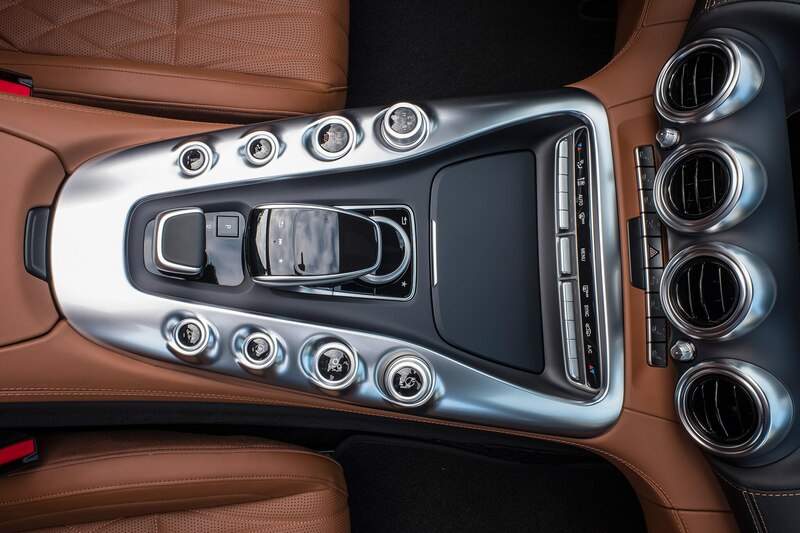 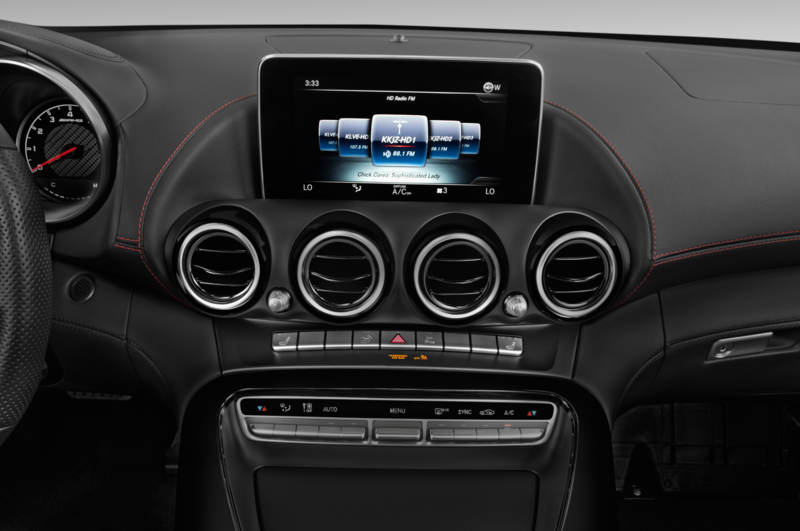 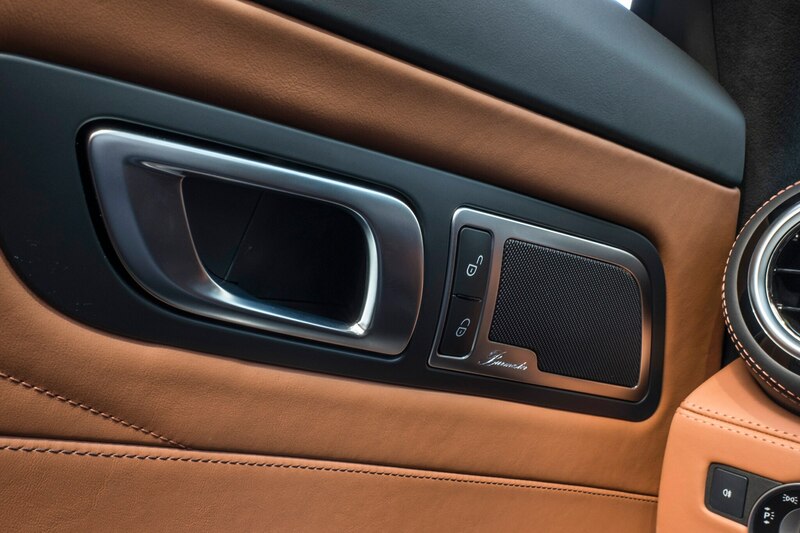 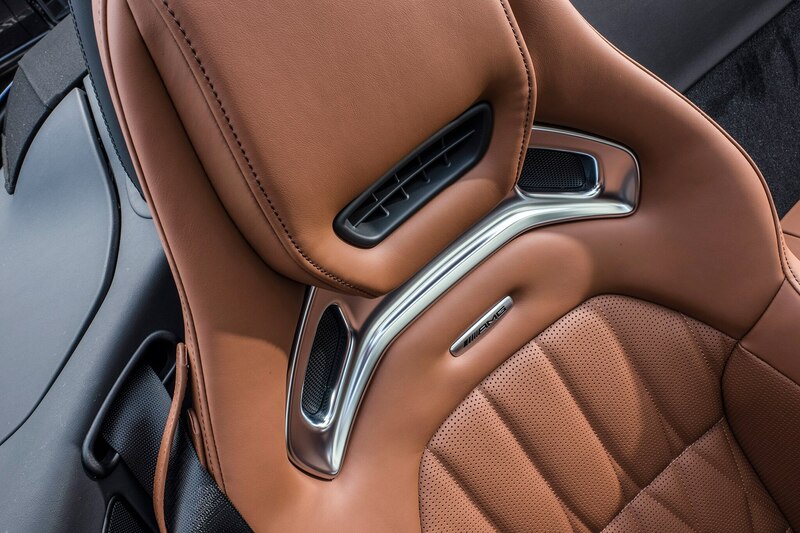 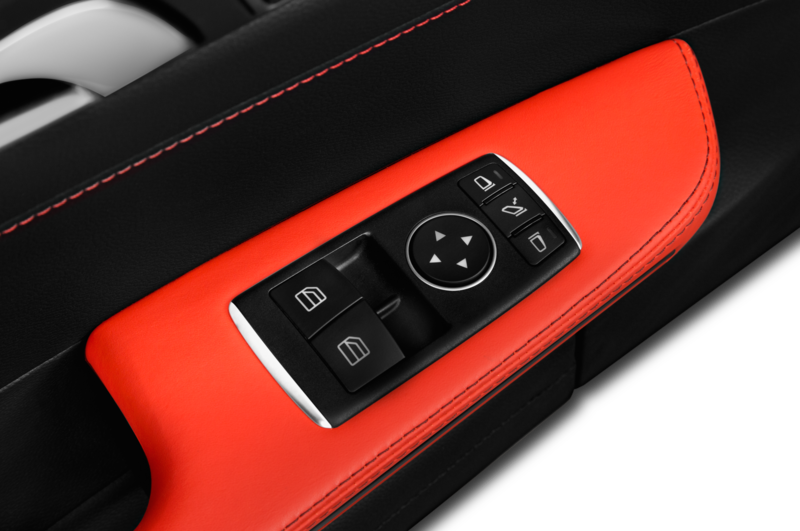 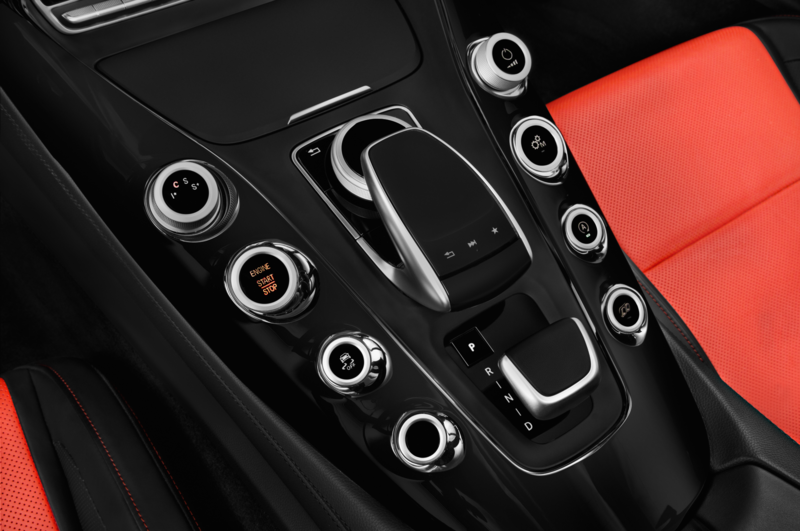 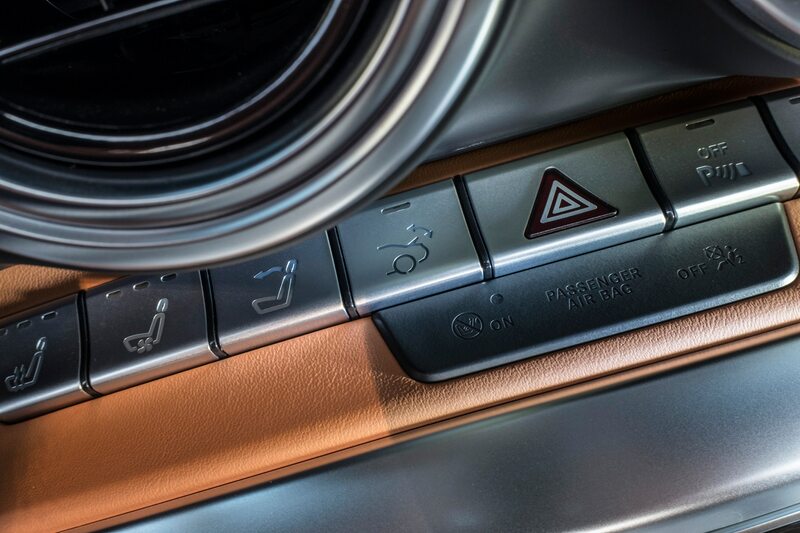 When you want to jam out to music of another variety, you’d be well advised to check the box for the optional $4,500 Burmester premium audio system. 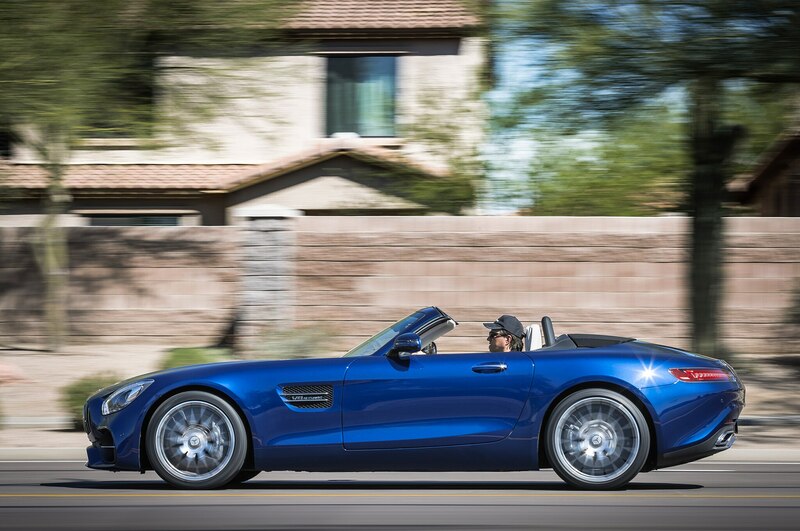 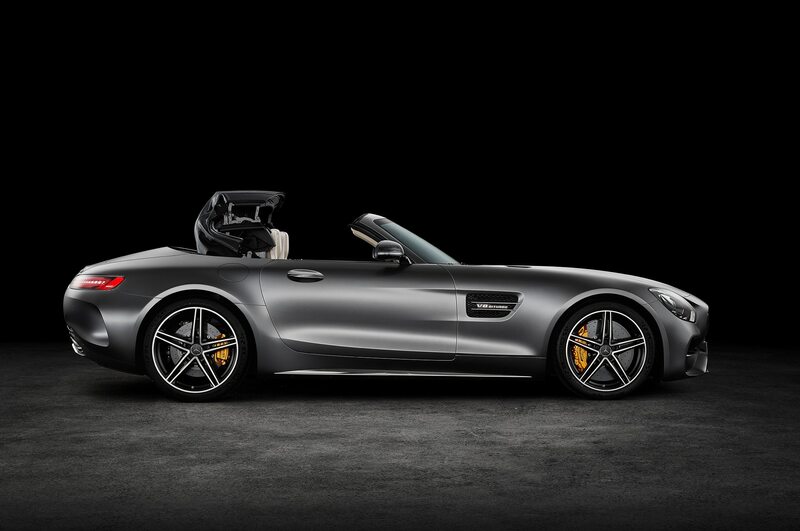 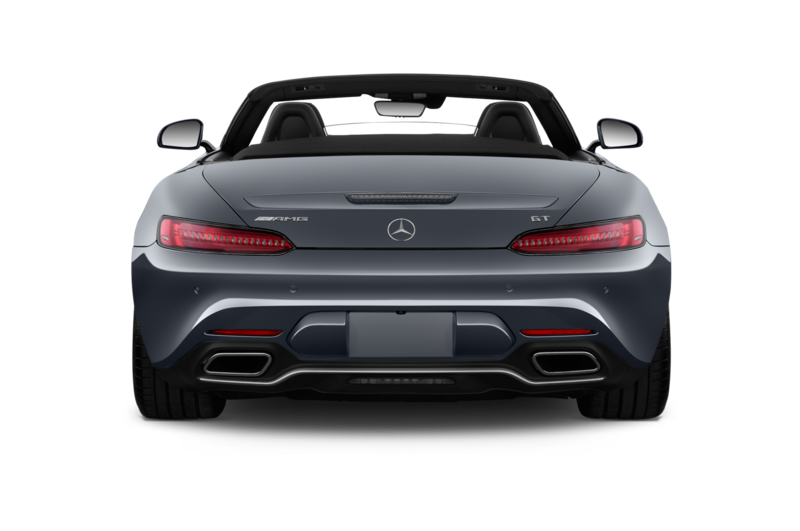 You have no excuse not to really, because if you have more than $150,000 to drop on a German drop-top, it would be silly to skimp out on the tunes. 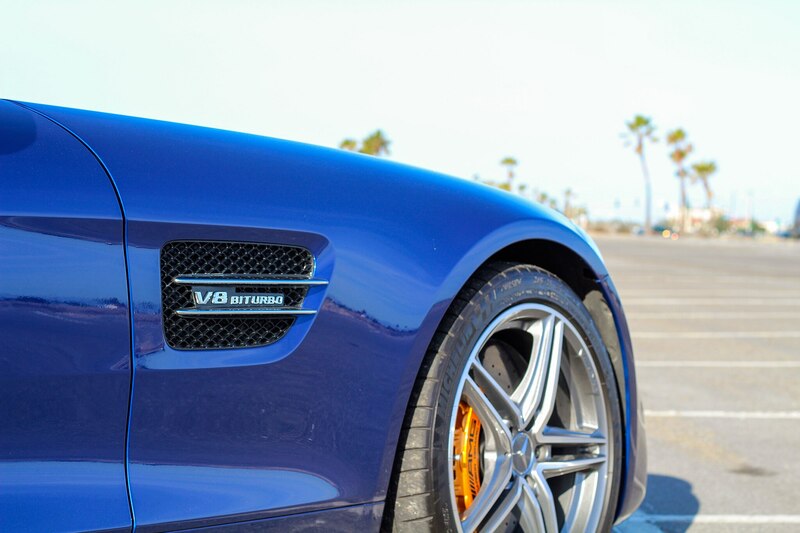 Besides, the engine won’t be doing much growling while you’re putting along at 10 mph on the I-405 or cruising down Hollywood Boulevard. 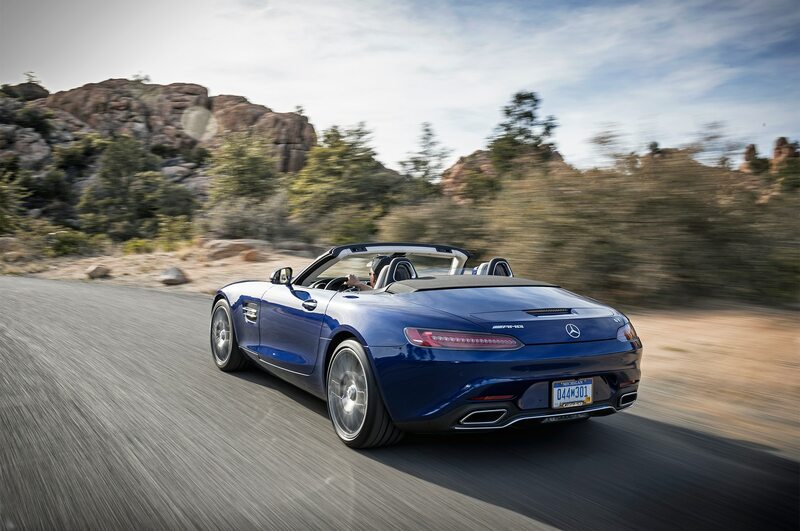 Unless you’re polite enough to turn the system down once you hit the Malibu city line, your neighbors won’t appreciate the additional sonic investment. 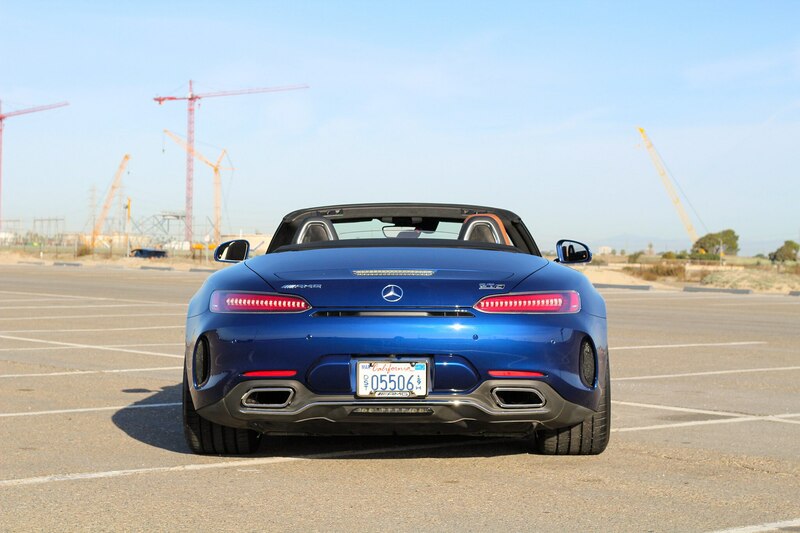 Your ears certainly will. 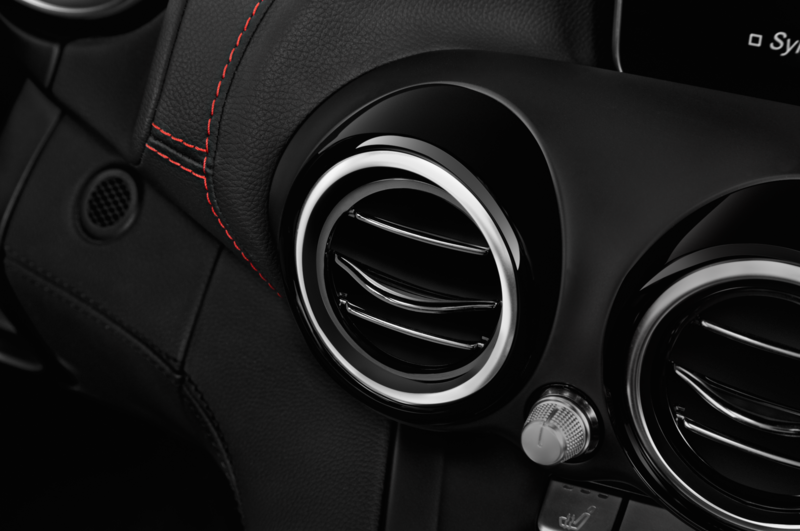 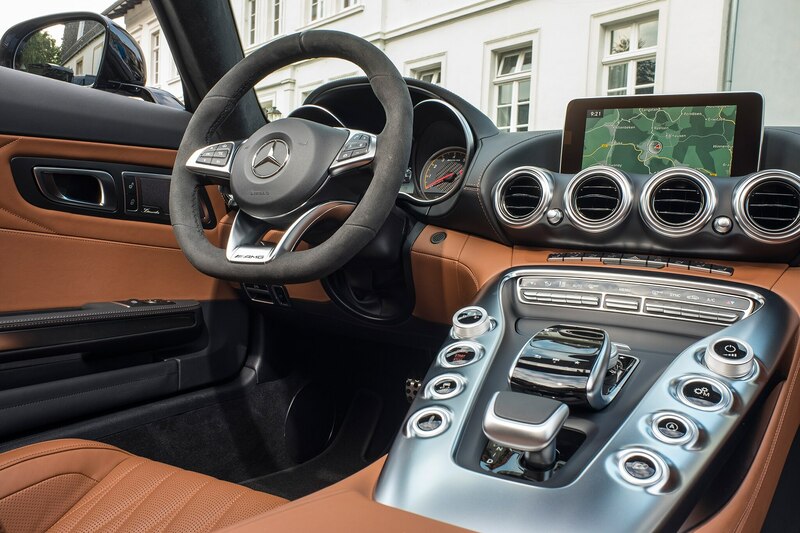 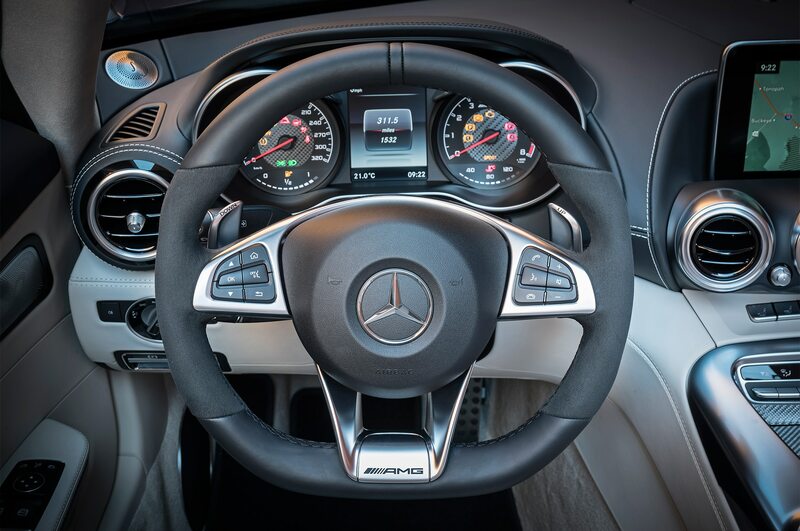 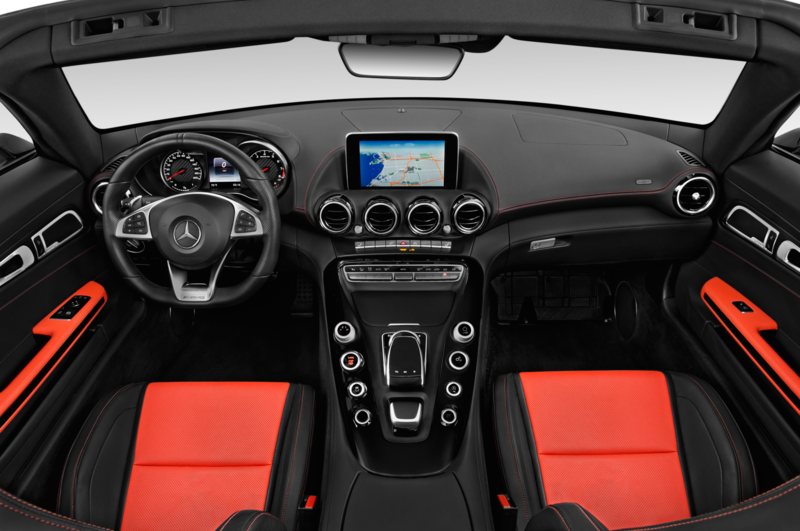 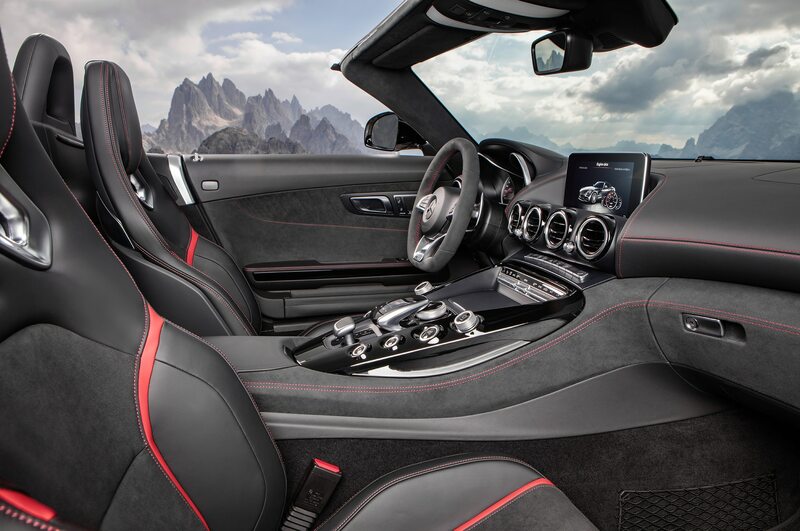 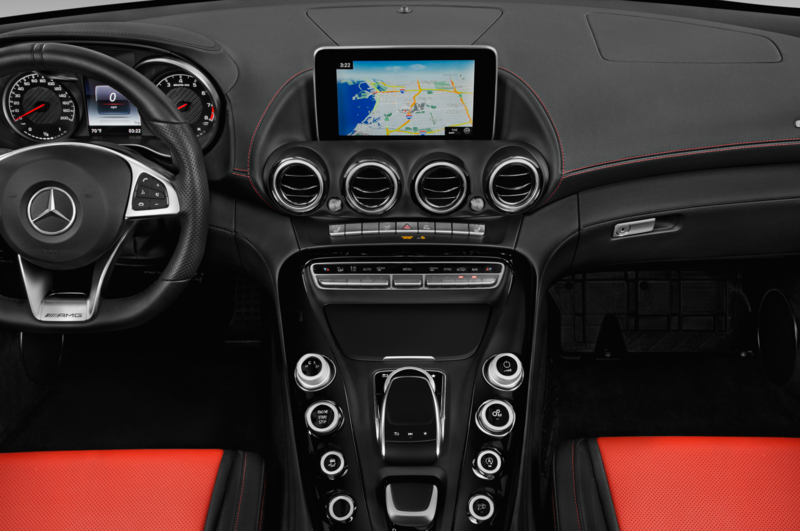 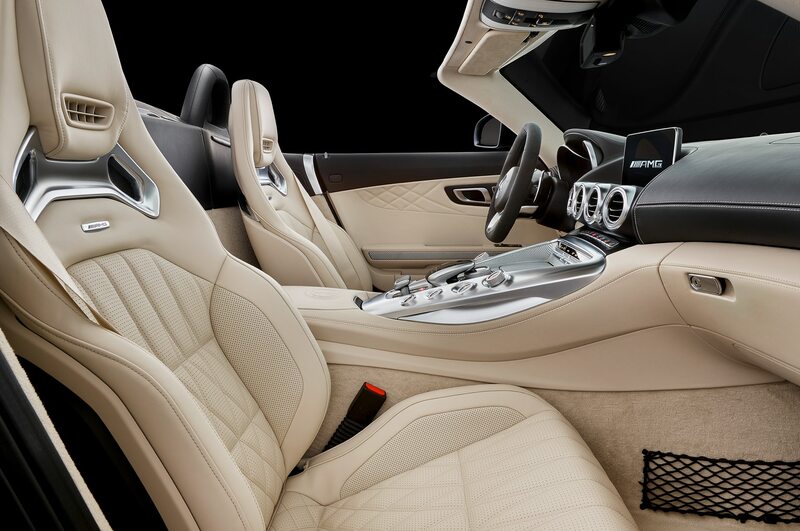 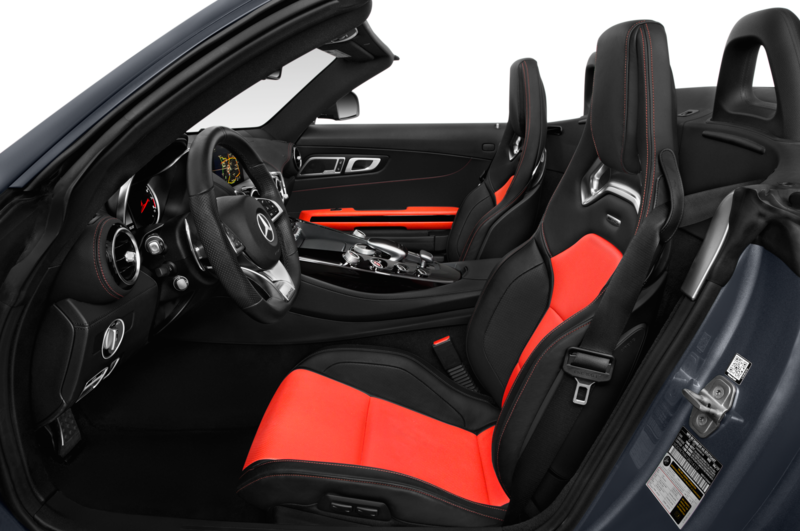 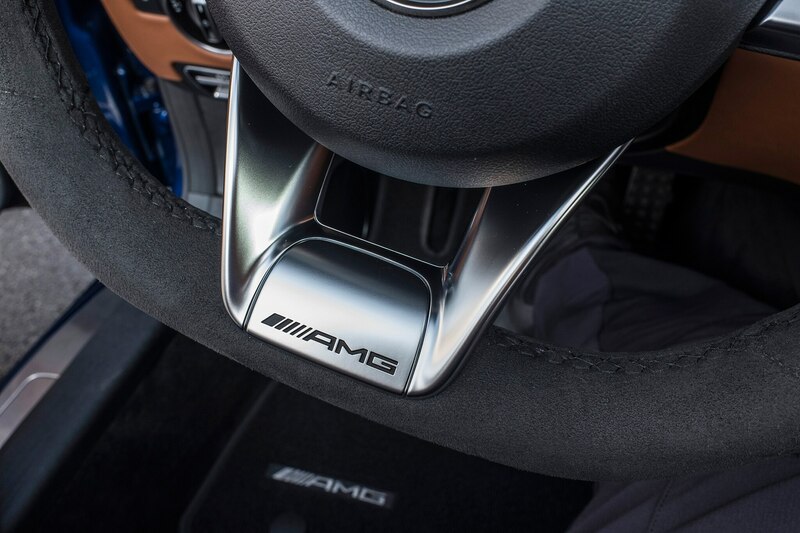 I spent as little time as possible with the top up, but interior noise isn’t much higher than in the AMG GT R when it is and you never have to raise your voice to LOUD NOISES levels to have a conversation with your co-occupant. 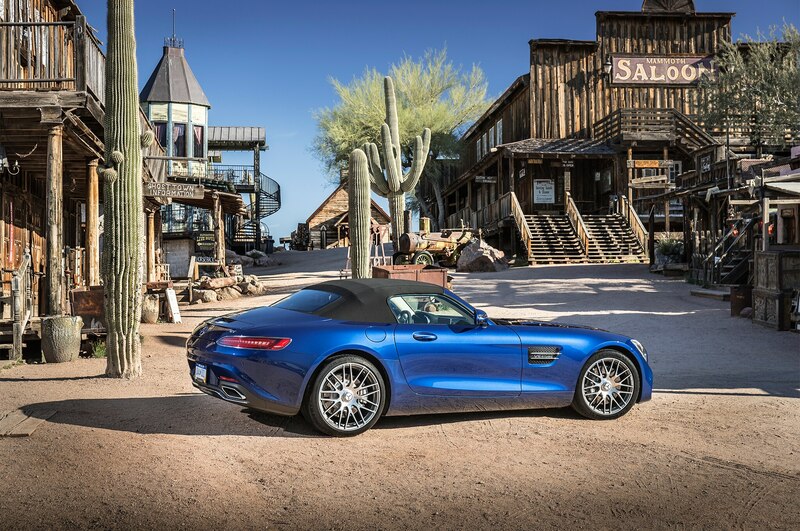 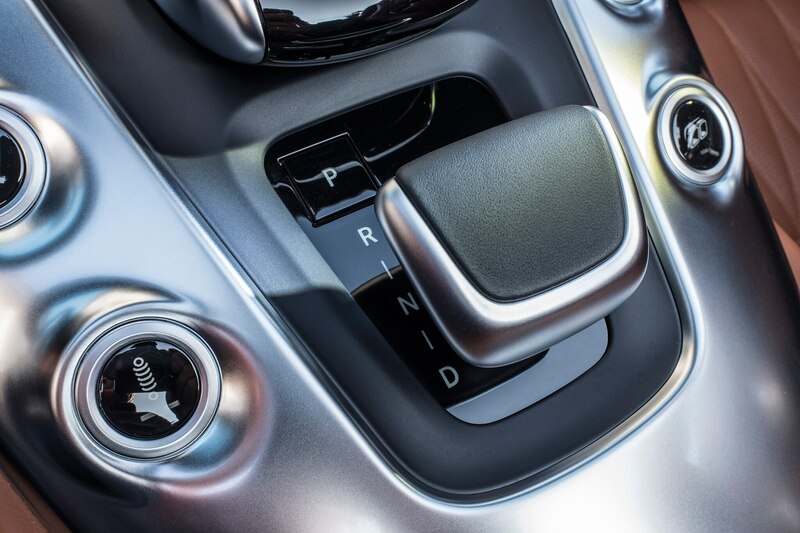 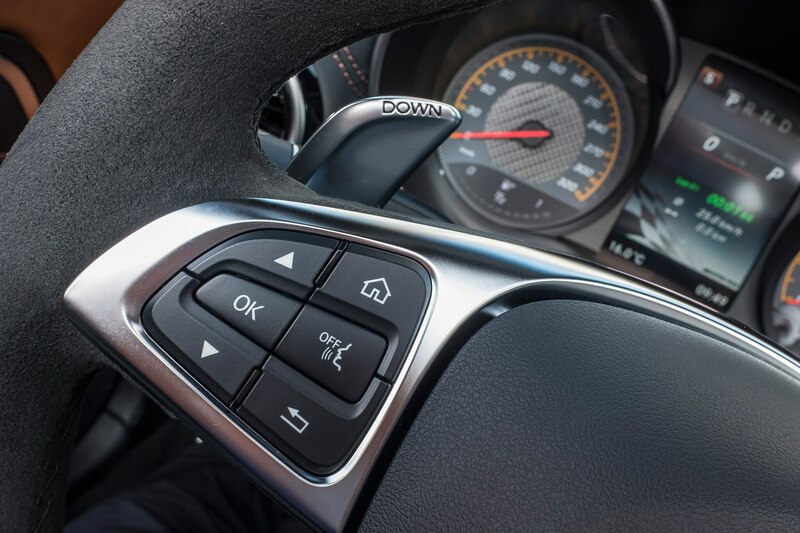 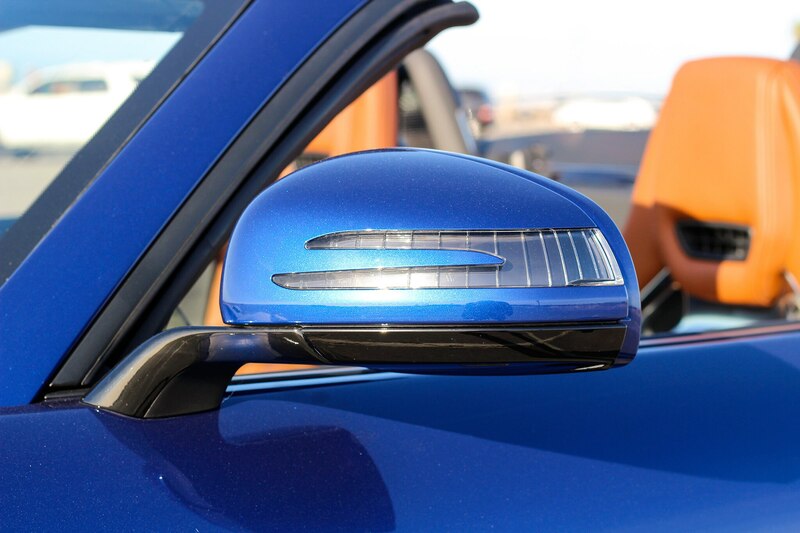 You’ll want that top up should you head out to the desert during the day, however, as getting sunstroke significantly reduces the enjoyment of top-down motoring. 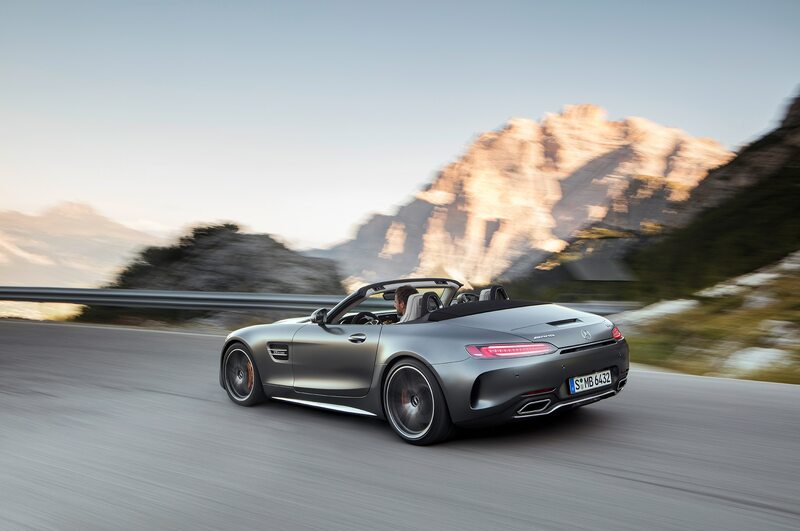 And therein lies the most important question: are you actually going to be enjoying top-down motoring with any sort of frequency? 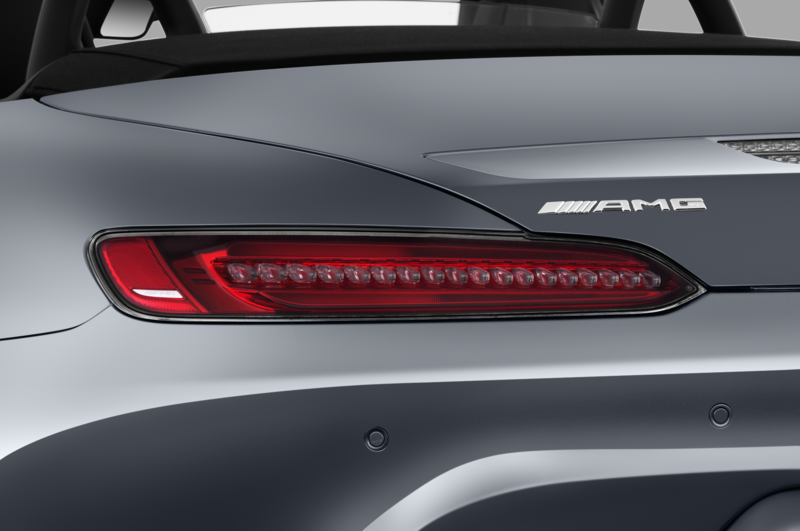 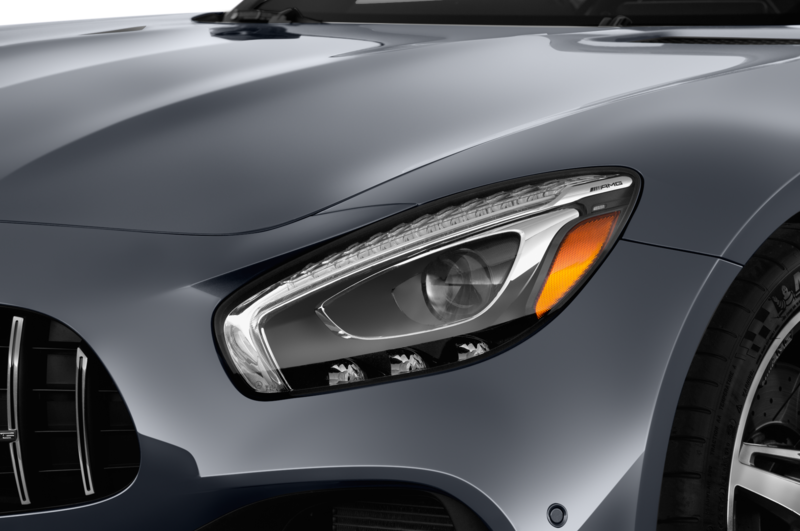 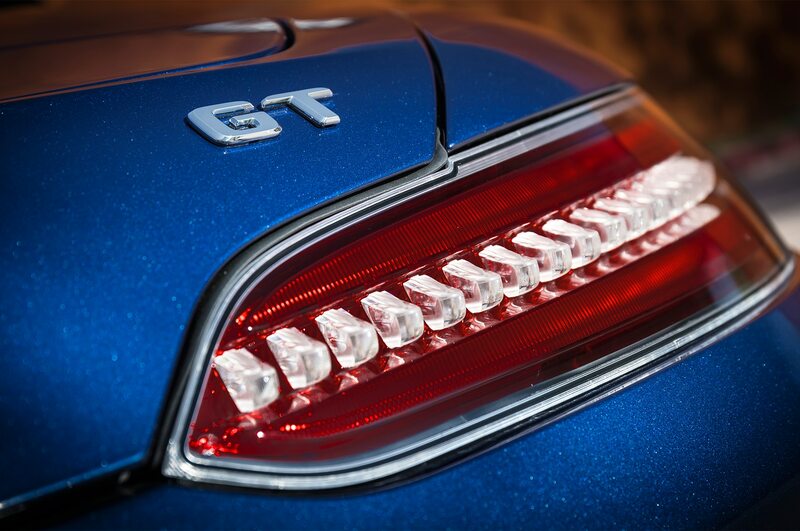 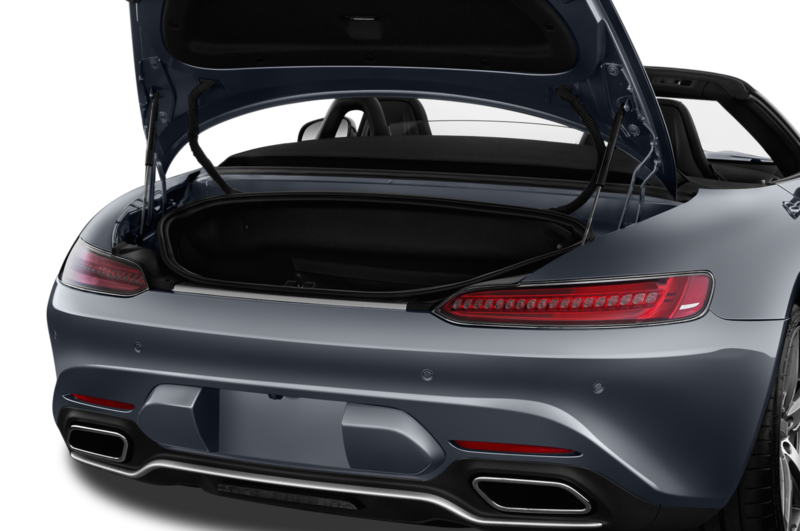 If the answer is no, then you’d be better off with the AMG GT coupe’s larger trunk, and you’d save yourself roughly $12,000 in the process. 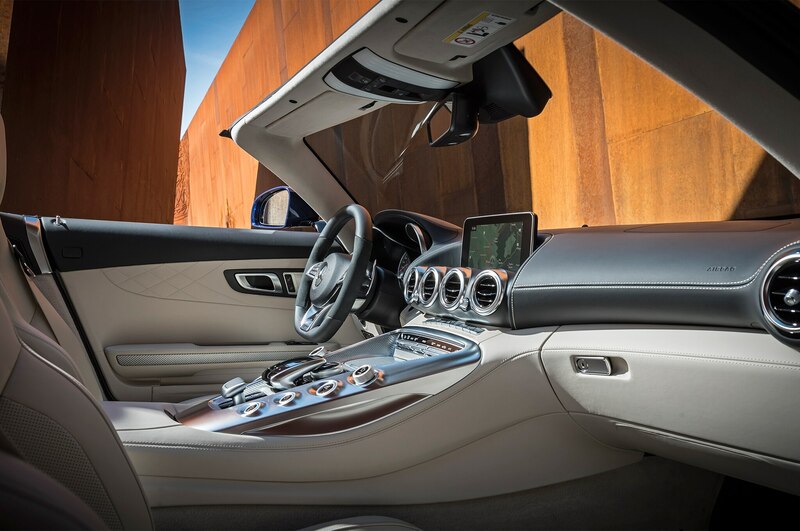 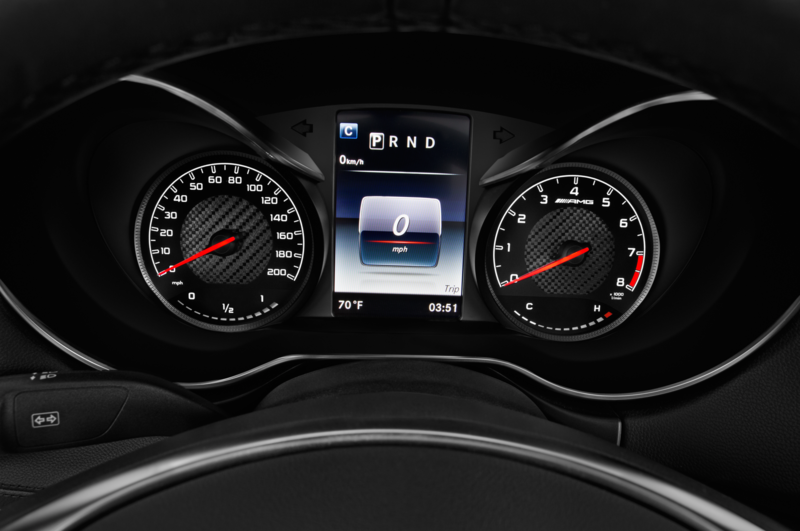 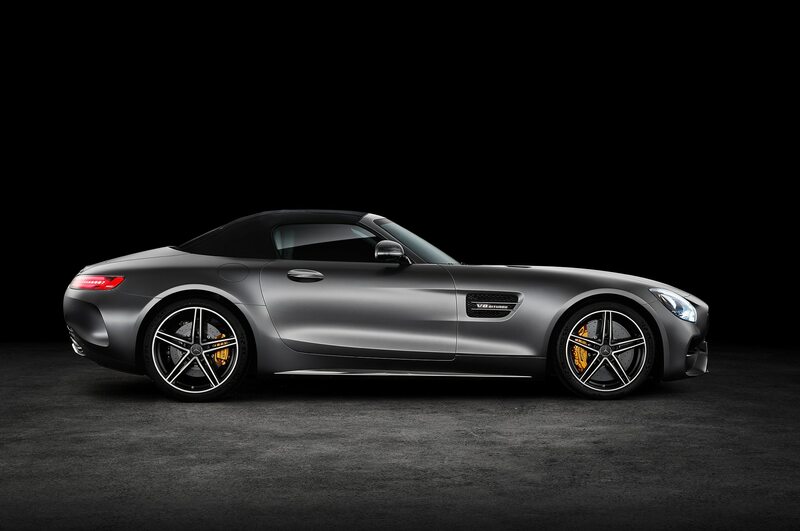 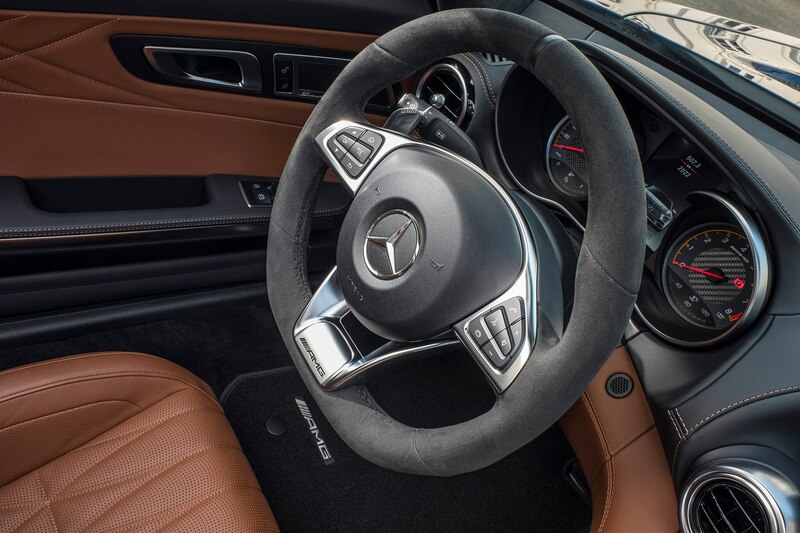 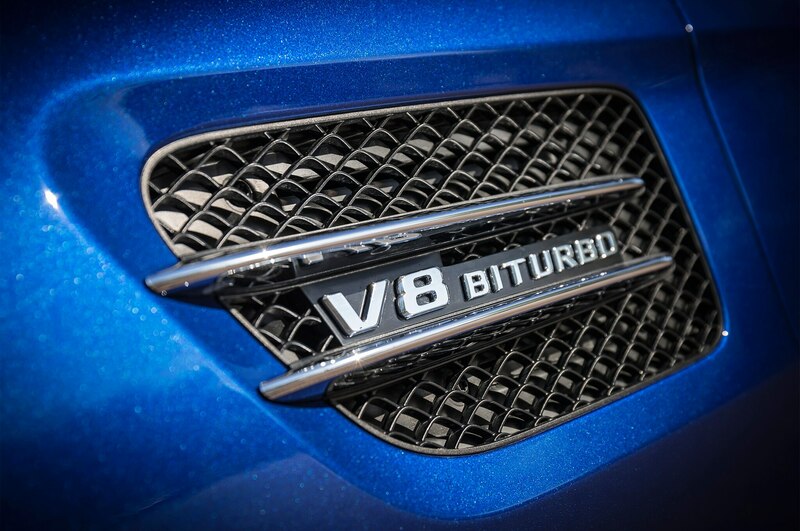 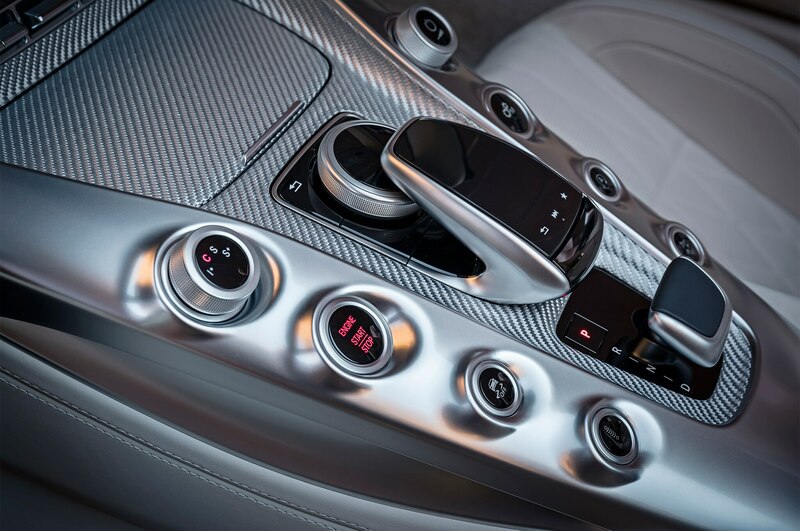 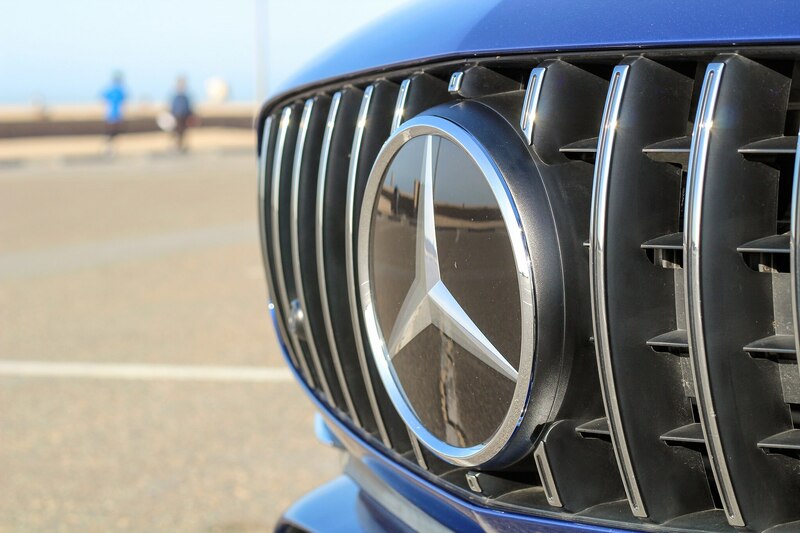 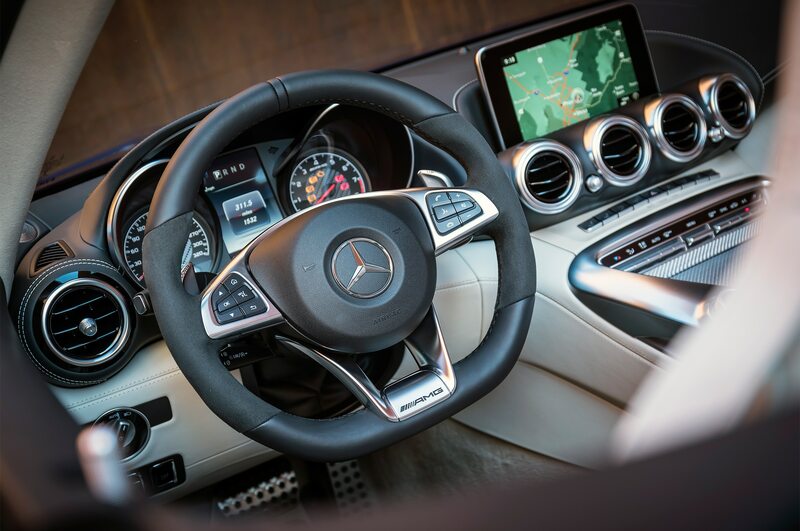 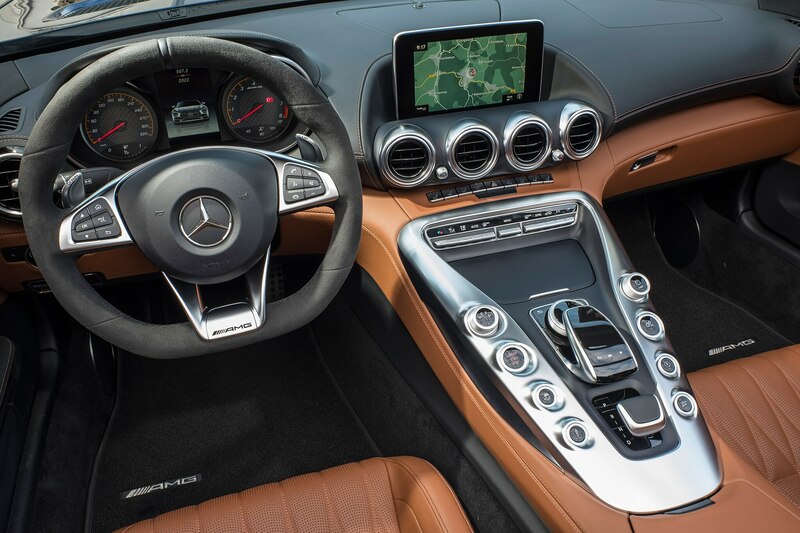 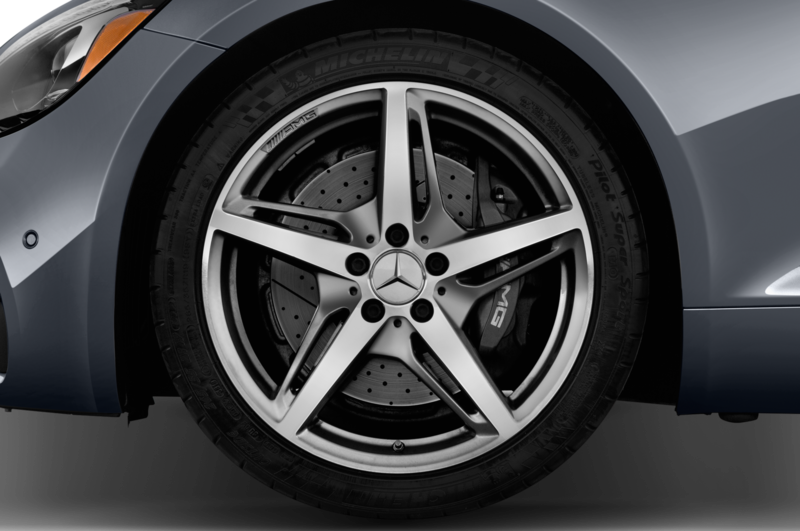 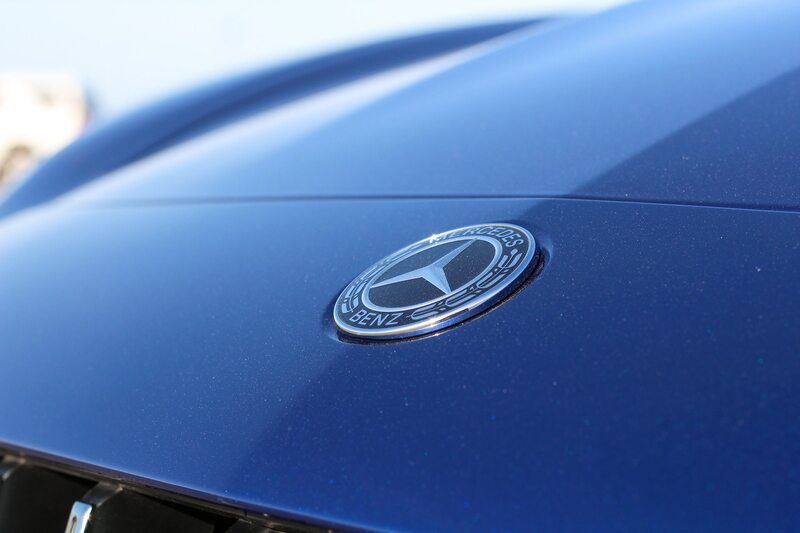 If the answer is yes, then by all means give your local Mercedes-Benz dealer a call. 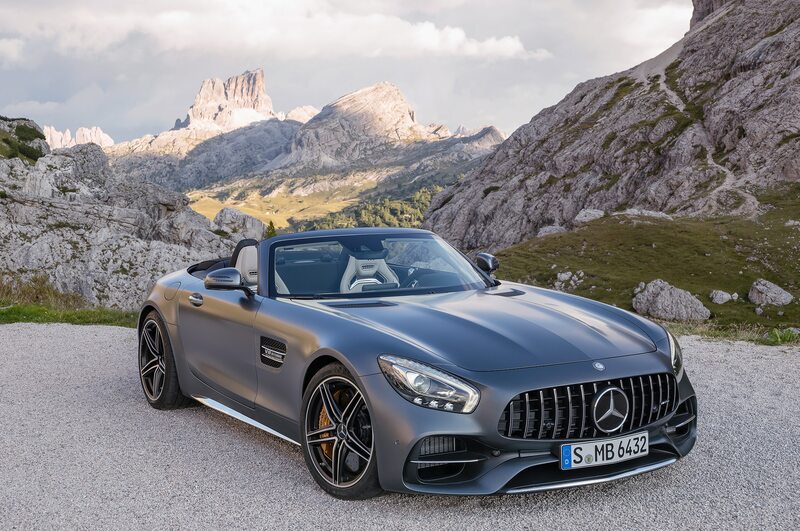 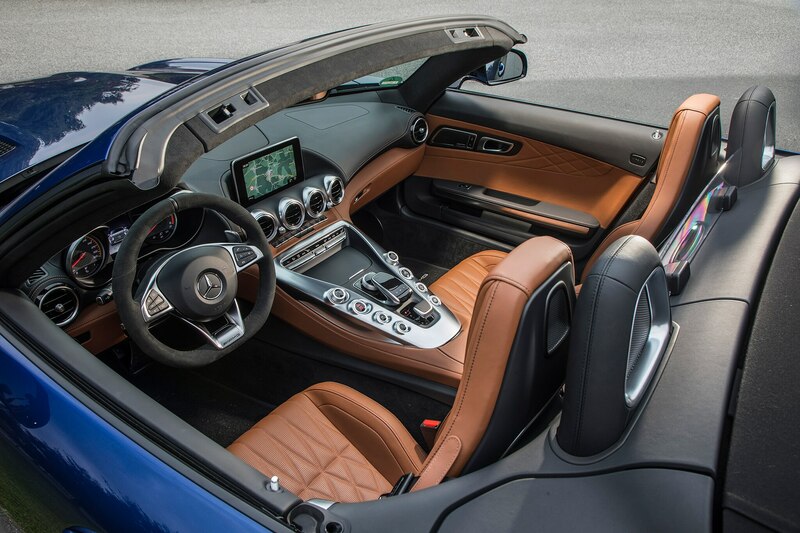 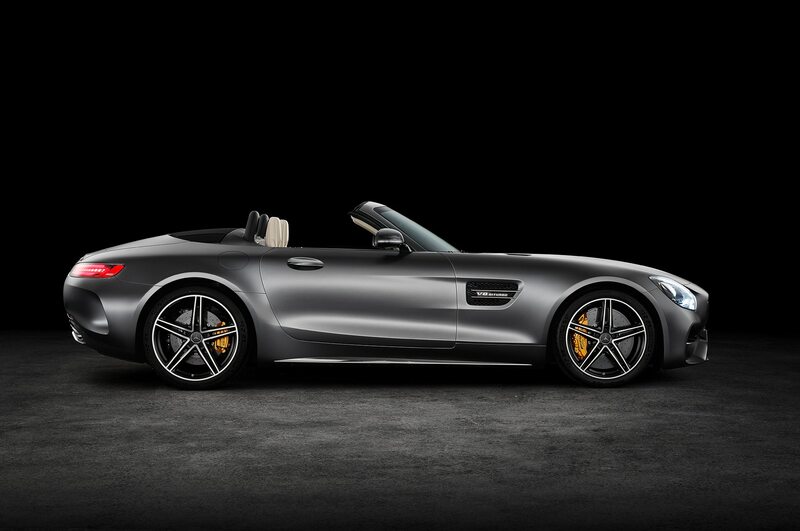 You’ll be hard-pressed to find a sharper drop-top than the 2018 Mercedes-AMG GT C Roadster short of joining the $200,000 club. 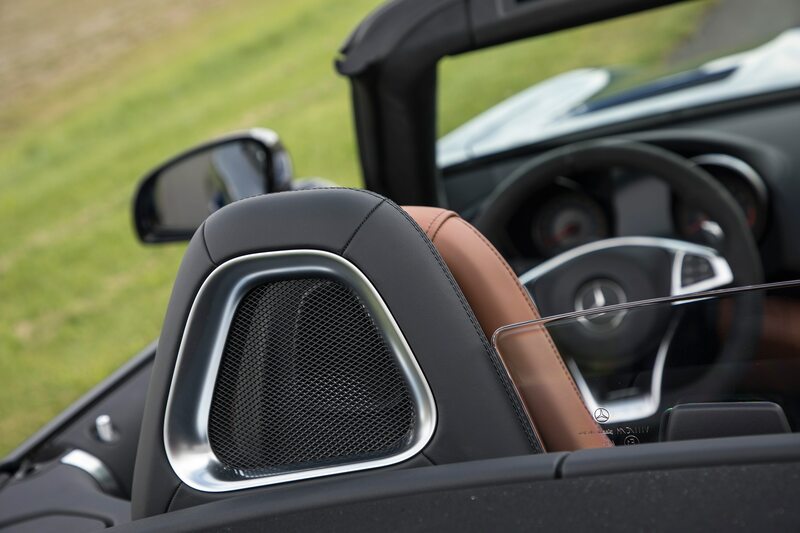 Just be sure to throw a hat on if you’ve got long hair. 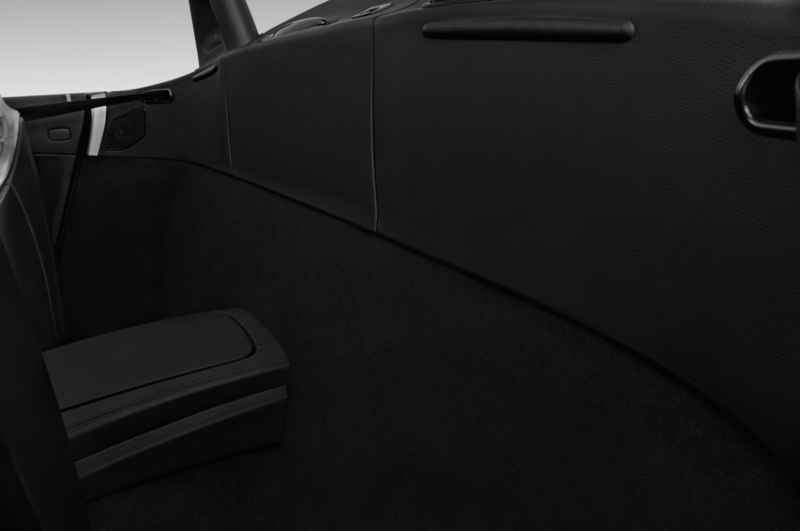 Even if you have no need to worry about gender-bending situations, it’s a pain to get it untangled.